It was predominantly a buyer’s market across the UAE this year as residential properties became more affordable. This was primarily because of the inventory that was handed over, which weighed on both house sales prices and rents. Over 19,700 units have been delivered year to date, according to the consultancy Core. Prominent deliveries include Bluewaters Residences, Damac Heights in Dubai Marina and multiple projects in Nshama Townsquare and Akoya (Damac Hills). The UAE also announced landmark visa reforms which will benefit the property industry. Starting next year, expats in the UAE aged 55 or over will be eligible to secure a five-year retirement visa, if they meet certain requirements, including investing in properties worth at least Dh2 million, or have at least Dh1 million in savings or an active income of more than Dh20,000 monthly. Also, investors in a property worth Dh5 million or more will be granted a 5-year residence visa. “New visa regulations for retired expats and skilled workforce are among a number of ongoing measures to improve investor confidence and sentiment. These residency law regulations are also expected to positively impact the UAE property sector over the coming years, bringing a boost to demand by way of attracting and retaining expats,” said Robert Thomas, associate director, residential at Core. 2018 was a good year for Dubai’s secondary property market. While residential off-plan sales have been low, dropping by 32 per cent compared to 2017, there has been a rise in transactional activity in the ready space. “The reduction of off-plan launches this year in comparison to 2017 has played a huge part in shaping the real estate sector in 2018. 2017 saw developers launch projects with very attractive price plans and incentives. However, it is not sustainable to do this year on year. The secondary market saw very little change since 2017 and has stayed consistent throughout the year,” said Lewis Allsopp, CEO of Allsopp & Allsopp. However, according to consultancy ValuStrat, established locations such as Downtown Dubai and Business Bay saw 85 per cent of investments being off-plan. “This came as no surprise as off-plan projects with competitive payment plans were preferred by purchasers as the cost of bank borrowing saw four increases during 2018. No change was seen to existing mortgage cap loan-to-value ratios,” explained a ValuStrat report. Key proposed regulations include developers to reach the 50 per cent completion mark or have 50 per cent of the total construction cost in an escrow account before being able to sell off-plan projects. This regulation safeguards buyers’ interest. Another key milestone for Dubai’s real estate market came from the Central Bank of the UAE in November 2018. Banks in Dubai were previously allowed to give 20 per cent of their portfolio to real estate but now the limit has been uncapped, allowing banks to invest more money in real estate to stimulate the market. “We’re now witnessing a market correction as property prices adjust to the increased supply. This benefits consumers who may have previously aspired to own a property but were priced out, and we’re happy to see long-time UAE residents begin to invest and buy properties as an alternative to renting. Also, government initiatives such as longer visas and the diminishing restrictions on foreign ownership are attracting foreign direct investments and long-term residency,” said Niall McLoughlin, SVP at Damac Properties. Recent real estate reforms are having a great impact on the UAE’s global perception. “A reform-oriented government continues to be the main driver of the sector’s growth. We saw continued trust from foreign and local investors, during times when consumer confidence around the world has been on a decline,” the senior Damac Properties executive added. Overall residential capital values for existing freehold properties declined 11 per cent annually and are 22 per cent below their 2014 peaks, according to the ValuStrat report. However, not all areas performed equally. ValuStrat data shows that the highest annual declines of more than 15 per cent came from Business Bay, International City and Jumeirah Islands, locations with less than 6 per cent declines were villas in Palm Jumeirah, Emirates Hills and Al Furjan. Dubai became more affordable in 2018. For Dh300,000, buyers could opt for a studio in Dubai Production City, for less than half a million dirhams, purchasers could secure a one-bedroom apartment in International City. Asking rents were down 8.6 per cent on an annual basis as many landlords worked to maintain occupancy levels with rent reductions and easier payment plans. According to ValuStrat, examples of affordable rents include studios in International City for Dh20,000 and one-beds for Dh30,000. The rental market has become a tenants’ market. In order to maintain occupancy, landlords are more flexible when it comes to payment terms. They have moved from accepting only one cheque to accepting up to 12 cheques. Rents, on average, are expected to stabilise in the next 12 months. “One must understand that the macro-induced crunch on the consumers’ purchasing power had prompted a fight for affordability in both the rental as well as the sales markets. This consequently led to much-needed attention on the affordable housing segment. This contributes to the economy in many ways. It directly boosts the retail, insurance and banking sector as more people continue to call Dubai their permanent home,” said Atif Rahman, director and partner, Danube Properties. An influx of new residential stock, some after delays of up to two years, was handed over. With many of these new homes targeted at the mid-affordable market, areas located along the E311 corridor such as International City, Dubai Silicon Oasis and Dubailand were most impacted. There was also a shift towards domestic end-users rather than investors. “Developers have increasingly moved into home financing, offering innovative self-funded payment plans directly to their purchasers, outside of the traditional mortgage market. While such schemes have likely opened up home ownership in Dubai to a wider market, less stringent credit checks as compared to traditional bank mortgage applications, may represent some downside risk for future payment defaults. Such a scenario could possibly expose some developers who are dependent upon stage payments to fund project construction,” the ValuStrat report warned. Fresh off the opening of the Jameel Arts Centre, the Saudi organisation Art Jameel has announced new awards for its second major building project: Hayy: Creative Hub, in Jeddah. Art Jameel already has a site there, in the Jameel House of Traditional Crafts, where artisans learn techniques such as woodworking, calligraphy and illumination. With Hayy, however, they are addressing the needs of the growing contemporary art community in the sprawling Red Sea city, which has lacked a central site where artists, filmmakers and other creative professionals could meet or collaborate. The answer was Hayy, which means “neighbourhood” in Arabic: a collection of buildings conceived by the Dubai-based firm Ibda Design, who also consulted on the Jameel Arts Centre in Dubai. The structures mimic typical Gulf architecture, with a central courtyard and shaded walkways on the upper storeys; the aluminium cladding and concrete flooring underscore, on the other hand, the contemporary aesthetic. These plans have just won a hat trick of accolades: gold at the Hong Kong Design Awards, silver at the New York Design Awards, and it was honoured for exceptional design by the American Institute of Architects. The site overall will be 17,000 square meters, or about the size of the Kennedy Center in Washington, DC. Art Jameel will occupy a main area of the site, while other spaces will be occupied by different tenants and partners. Around three-quarters of them have been already allocated, as the site proceeds, and Carver says they are keeping some vacant so they can respond to any new needs that might arise in the cultural community before the completion date. Public programmes will start as early as next year — announcements are expected to come soon — and the centre is currently hiring curatorial and management staff. The 4.6 million sq ft development will add nearly 8,000 premium freehold apartments in Meydan. Oriental Pearls, a Chinese real estate developer operating in the UAE, has unveiled its Tonino Lamborghini Residences Dubai project. The 4.6 million sq ft development will add nearly 8,000 premium freehold apartments in Meydan, the company said in a statement, with the project due to be completed in 2024. 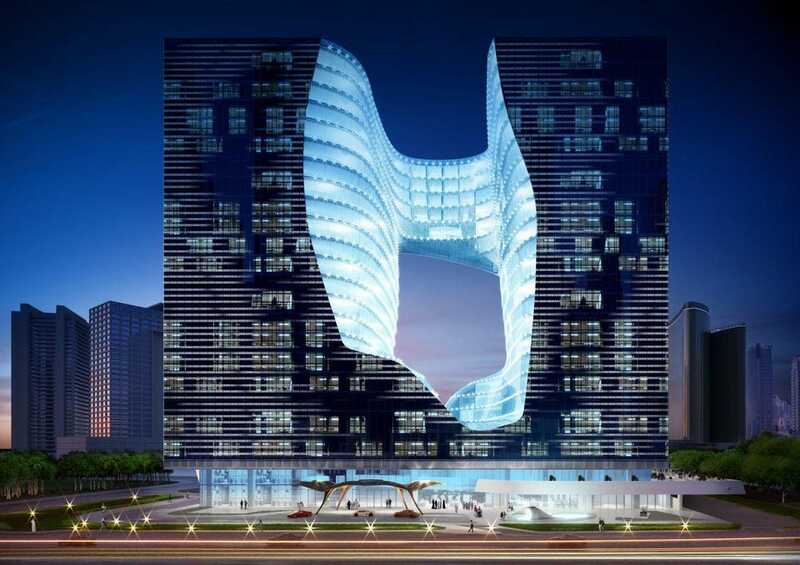 The unveiling comes after Oriental Pearls announced a multi-million dollar agreement earlier this year with Tonino Lamborghini, an Italian company that is known for designing lavish hospitality projects. The agreement with Oriental Pearls will see the developer apply the Tonino Lamborghini branding, philosophy and values across its real estate developments in Dubai, it added. Ma Guolong, CEO of Oriental Peals, said: “We are delighted to announce that we are a step closer to fulfilling our vision of delivering upscale and bespoke homes for the modern consumer. The project is targeted at customers who plan to buy-to-live and private investors living in the UAE, as well as India, China and Saudi Arabia. The Council on Tall Buildings and Urban Habitat (CTBUH) has published its annual list of skyscrapers presented with an Award of Excellence, the first step in the CTBUH 2019 Awards Program. The selected projects, divided into various award categories, represent the world’s best tall buildings, judged on the basis of criteria such as their contribution to their urban surroundings and the building technologies and innovations employed. Skyscrapers are divided into five categories on the basis of height (below 100 metres and then by 100 m increments up to the tallest category, over 400 metres), as well as five categories based on construction engineering aspects and the categories of Urban Habitat, Innovation, Renovation, Interior Space and Construction. We have presented many of these giants of architecture in Floornature, and here is a rapid overview of the award-winning projects in each height category. The winner in the first category, buildings under 100 metres in height, is the Kampung Admiralty, a mixed-use building designed by WOHA in Singapore and recently presented with the World Building of the Year Award, the top prize at the 2018 World Architecture Festival, held on November 28 through 29 in Amsterdam. In the same category, prizes also were presented to: Emblem (Sydney) – BVN Donovan Hill; Forma Itaim (São Paulo) – b720 Fermín Vázquez Arquitectos; Lè Architecture (Taipei) – Aedas; The Opus (Dubai) – Zaha Hadid Architects. Skyscrapers selected in the second category (Best Tall Building 100-199 metres) include the Amorepacific Headquarters, home to the Korean cosmetics company of the same name, designed by David Chipperfield Architects in Seoul. A building with a bold identity developed around an open central courtyard, it has three large windows at different heights connecting the outdoors with the open space in the centre and offering panoramic views over the landscape. Other buildings nominated in the same category include the Morpheus Hotel & Resort at City of Dreams designed by Zaha Hadid Architects in Macau, an iconic building created out of a vertical extrusion of the layout of a residential building that was under construction on the site but never completed, wrapped in an exoskeleton. 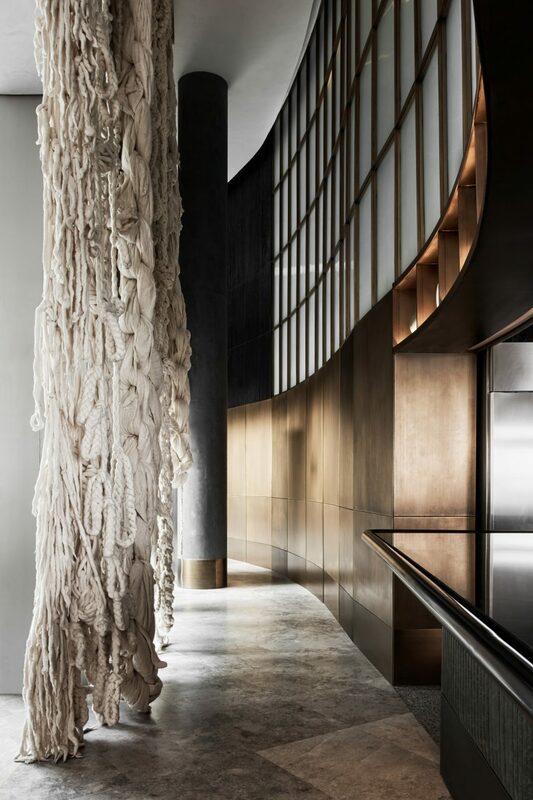 As in David Chipperfield Architects’ project, the Morpheus Hotel is sculpted inside to create “urban windows”, voids visually linking the common areas in the skyscraper with the landscape around them. The other buildings selected in this category are: Baidu Headquarters (Shenzhen) – CCDI Group; Crystal Laputa Tower 1 (Chengdu) – 5+design; DUO (Singapore) -Buro Ole Scheeren; European Patent Office – EPO (Rijswijk) – Ateliers Jean Nouvel + Dam & Partners ; Manhattan Loft Gardens (London) – Skidmore, Owings & Merrill LLP; One Park Taipei (Taipei) – Rogers Stirk Harbour + Partners. BIG’s Shenzhen Energy HQ skyscraper was selected in the Best Tall Building 200-299 metres category. The building’s distinguishing feature is its pleated façade, which not only adds aesthetic value but plays a very important role in improving the building’s energy performance and comfort by maximising thermal energy, reducing solar radiation and creating diffuse light by reflecting the sun’s rays on the inside panels while framing splendid panoramic views for people looking out. Other buildings nominated in this category include 181 Fremont Tower (San Francisco) – Heller Manus Architects; The Central Bank of Kuwait New Headquarters Building (Kuwait City) – HOK, Inc.
All the skyscrapers competing in the last two categories are in Asia, confirming the current trend in which China leads the way in building the world’s tallest buildings. The buildings selected in the Best Tall Building 300-399 metres category are the China Resources Headquarters (Shenzhen) – Kohn Pedersen Fox Associates; Jumeirah Nanjing Hotel & Cultural Centre (Nanjing) – Zaha Hadid Architects; MahaNakhon (Bangkok) – OMA. The Ping An Finance Centre designed by Kohn Pedersen Fox Associates has become an important landmark on the Shenzhen skyline, rising 599 metres into the air, making it the tallest building constructed in 2017 and the fourth tallest in the world. It was selected in the Best Tall Building 400 metres and above category along with CITIC Tower (Beijing) by Kohn Pedersen Fox Associates. The Elaf Group’s Hotel Galleria has won the ‘Luxury Architecture Design Hotel’ in 2018 edition of the recently held World Luxury Hotel Awards in Bali, Indonesia — a premier global event recognizing luxury hotels for their world class facilities and service excellence provided to guests. The award further consolidates the Elaf Group’s leading position across the Kingdom of Saudi Arabia’s thriving tourism segment and recognizes Hotel Galleria’s continuing success in offering an elegant destination combined with key aesthetic elements and unique architectural features, resulting in a well-rounded and excellent experience for its visitors and guests. Ziyad Bin Mahfouz, CEO, Elaf Group, explained that winning the ‘Best Luxury Architectural Design’ category has helped reinforce Hotel Galleria’s success, further strengthening the hotel’s strong presence and reputation as an architectural masterpiece located in the heart of Jeddah. The hotel’s elegant design was inspired by the ‘Galleria Vittorio Emanuele II’ in Milan, Italy, which successfully showcases high-end services that celebrate Saudi and Arabian traditions. Bin Mahfouz expressed pride in the hotel’s latest achievement, which demonstrates the global level of service being offered by the Elaf Group. He stressed that the win has inspired the group to continue in its journey towards excellence, especially in the provision of world-class services based on international standards of quality and efficiency, including best practices in hospitality and tourism. Bin Mahfouz noted that the Elaf Group continues to remain steadfast in its efforts to promote the Kingdom as a highly attractive tourist destination on the global map. Solidere International, whose largest shareholder is Beirut-listed real estate developer Solidere, is eyeing opportunities in Europe as it regains momentum on GCC schemes, and hopes to make a decision on whether to expand in the first quarter of 2019. “We are GCC based, but conservative divergence is a good approach, and Europe has some good opportunities,” Oussama Kabbani, chief operating officer of Solidere International, told The National on Tuesday. However, the developer is “very cautious” about 2019, as “geopolitical turbulence in the region has [negatively] impacted investments” and Solidere International did not record profit growth last year. Consolidated net profit for the full-year 2017 was $21.7 million, a decline from 2016. Mr Kabbani expects the company to achieve profit growth again by 2020 based on current market sentiment. Solidere International has a $1.4 billion portfolio across the UAE, Saudi Arabia and Lebanon, including projects under construction. It is 40 per cent owned by Lebanon-based Solidere, which was set up in 1994 to rebuild Beirut’s ravaged city centre after civil war and has a market capitalisation of $1.6bn . Solidere International is a separate entity registered in Dubai. It was created to help boost the larger Beirut company’s bottom line by developing projects elsewhere in the Middle East, while political impasse and economic slowdown hampered growth in Lebanon. Saudi Arabia is Solidere International’s best-performing market, where the developer has several residential and retail schemes, followed by the UAE, Mr Kabbani said. There are no plans for further projects in the kingdom at present, “but we are opportunistic and always keep an eye out”. In the UAE, the company is building the $60bn Al Zorah residential community in a joint venture with the Government of Ajman. The scheme comprises 5.4 million square feet of coastal land on the border with Sharjah and the first phase of 29 villas, adjacent to the golf course and mangrove wetlands, is sold out and complete. The next phase of 107 villas and townhouses is scheduled to complete in the first quarter of 2020. However, the project has been scaled down amid an ongoing real estate market decline. UAE property prices have slipped in the three years since oil prices fell from $100 per barrel in 2014, and the northern Emirates of Sharjah and Ajman, whose economies are smaller than those of neighbouring Dubai and Abu Dhabi, have been hit especially hard. In 2010, around half the land set aside for Al Zorah was returned to the Ajman Government, which provided the land in the 50:50 joint venture. Solidere provided the equity. Al Zorah will now aim to accommodate 50,000 people, down from an original target of 200,000, Mr Kabbani said. Relaxed payment plans are being offered to investors, and the developer has put 17 plots of land up for development by third parties to maximise revenues, and is in joint venture talks with “three or four parties”, said Al Zorah chief executive Imad Dana. He said there are plans to increase the amount of commercial real estate to maximise revenues, including a wellness centre, three more hotels beyond the Oberoi Al Zorah, which opened last year, and a school. Talks were ongoing with GEMS Education, the CEO added. Mr Dana said the whole project could take another 15 years to complete. 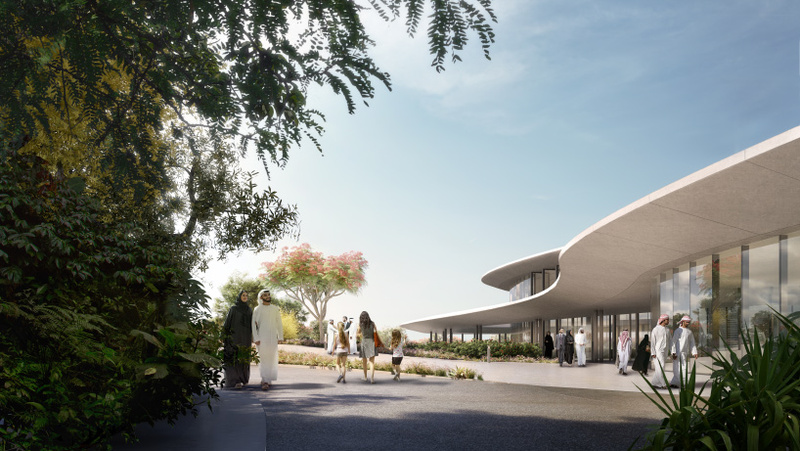 Art Jameel, an organization that supports heritage, education and the arts, announced that its forthcoming cultural complex, Hayy: Creative Hub, has been awarded major recognition in the autumn design awards. The UAE and Japan-based architectural practice ibda design won multiple accolades for their design for Hayy, including Gold in the Hong Kong Design Awards; Silver in the New York Design Awards; and the Honor Award for Exceptional Design by the American Institute of Architects (Middle East chapter). Hayy: Creative Hub is a 17,000-square-meter development. 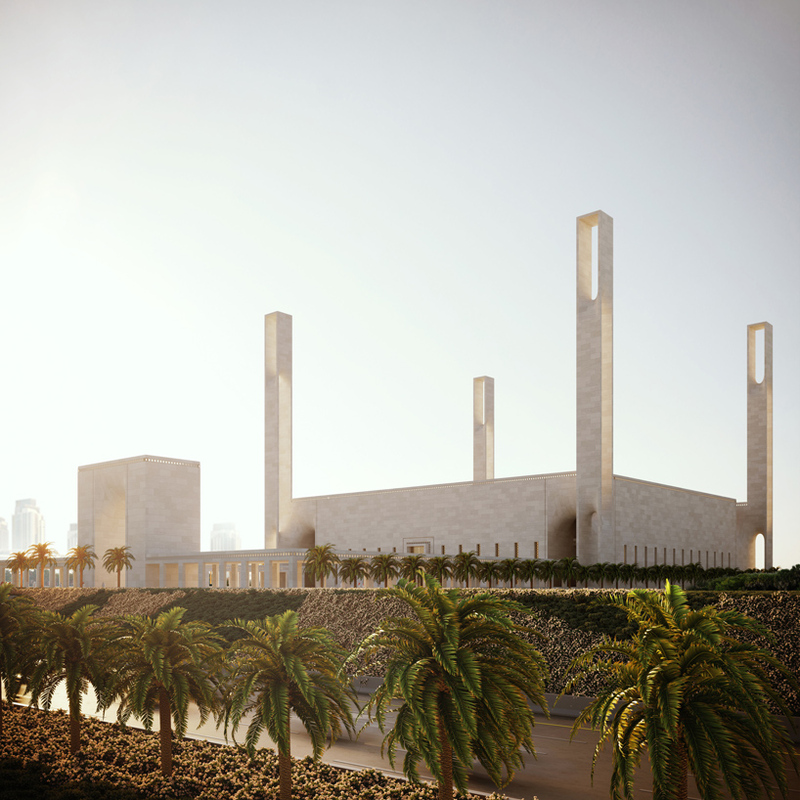 Saudi Arabia’s first bespoke home for the arts and creativity, the multidisciplinary complex is located in north Jeddah and due to open in 2020. 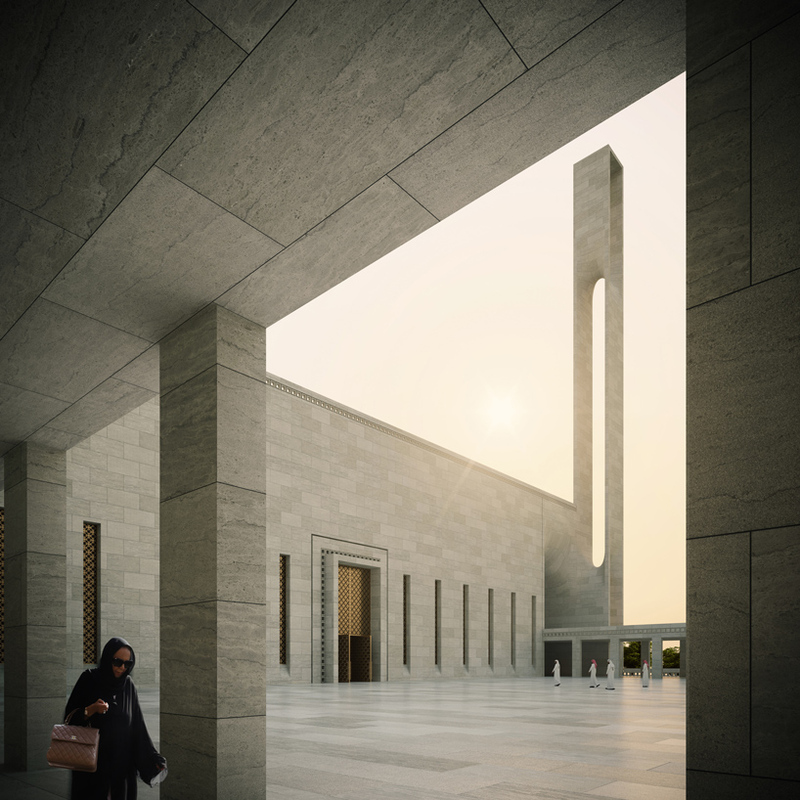 The three-story complex, designed by ibda design, offers a contemporary re-interpretation of the traditional courtyard typology, common within the Gulf. The main central courtyard is surrounded by shaded, staggered terraces on the building’s upper levels, which serve as extensions of the courtyard space and allow it to be conceived as a spatial whole that connects every level of the project. 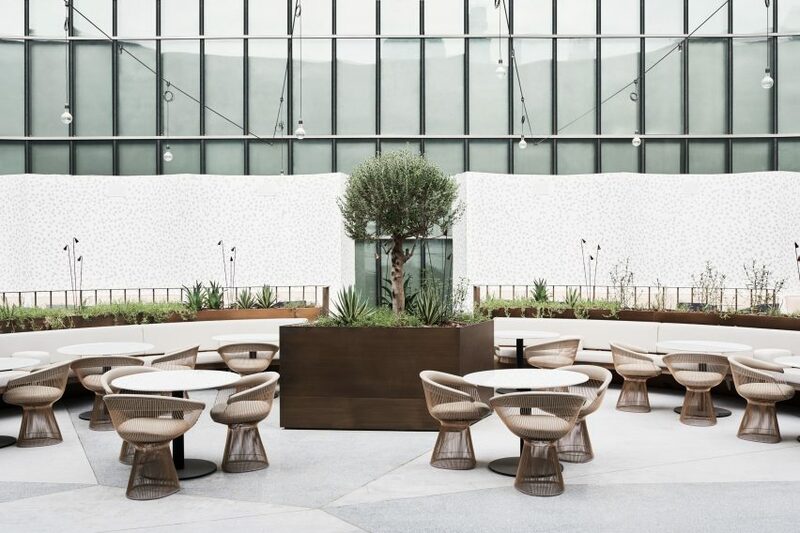 On the ground floor, the courtyard is enhanced by seating among natural vegetation and greenery. Designed to be a cultural incubator for its community, the project uses a steel-structure, aluminum cladding, and concrete flooring. “This offers a flexibility to the spaces that can accommodate many different exhibitions, events, and activities, and adapt to the needs of the local creative talents who use it,” said Wael Al-Awar (founding partner and principal architect) and Kenichi Teramoto (partner and principal architect) of ibda design. 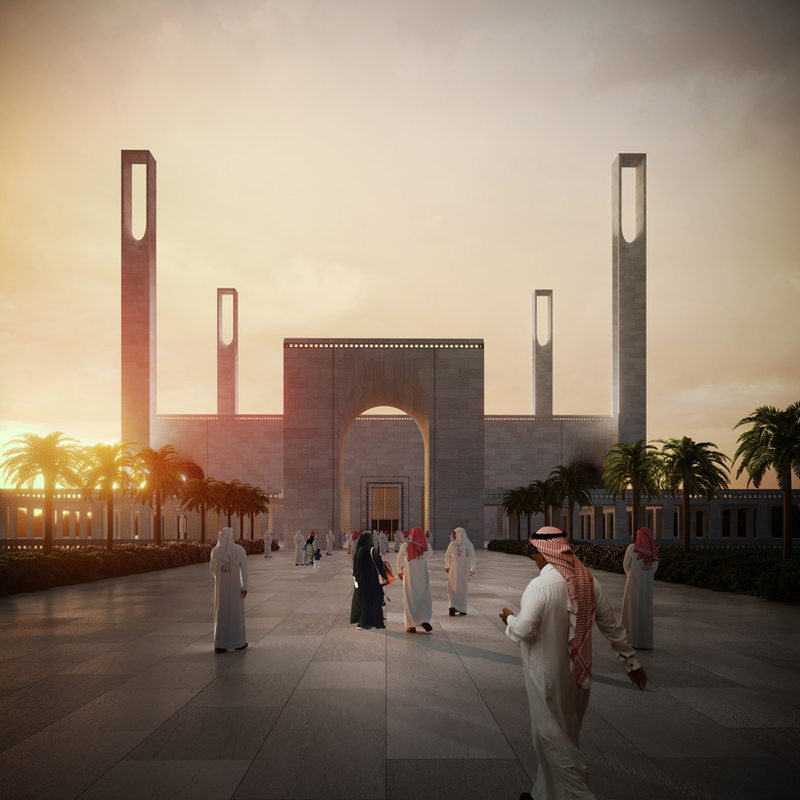 The aim was to promote a new perception of what architecture can be for Jeddah and Saudi Arabia. Founded and developed by Art Jameel, Hayy embraces and nurtures Jeddah’s dynamic creative community, and presents the full diversity of the arts. Art Jameel is developing a central Arts Center, plus cinema, artists’ studios, and spaces for performances, events and learning; multiple community partners, from commercial galleries, comedy clubs to eateries and co-working spaces, will take over other sites within the complex. 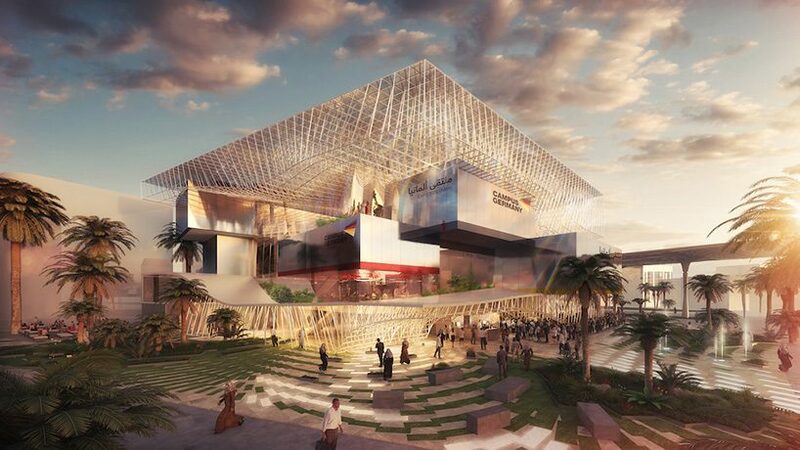 A consortium, comprising Expomobilia, V8 Architects, Kossmann.dejong and Witteveen+Bos, has won the contract to design the Netherlands country pavilion for the mega Expo 2020 gala event in Dubai. The 35th World Expo will take place in Dubai between October 20, 2020 and April 10, 2021. It is the first such event to be held in the Middle East. Under the overarching theme of ‘Connecting minds, creating the future’, 170 countries will present ideas, innovations and technologies before an estimated 20 to 25 million visitors. The 3,727-sq-m Dutch pavilion has been designed as a closed-loop climate system in which private and business visitors will enjoy an intense sensorial experience. The Netherlands will be represented at Dubai Expo 2020 by a standout pavilion that is not a building in the traditional sense, but a temporary climate system built using locally sourced materials. The pavilion is the embodiment of the Netherlands’ chosen theme of ‘uniting water, energy, food’ and demonstrates the connection this country is so good at making between sustainable energy, water management, agriculture and circularity, said the Ministry of Foreign Affairs, the Netherlands Enterprise Agency while unveiling the winning design. Inside the pavilion, visitors will be treated to a sensorially rich experience of Dutch know-how and skills in the field of innovative water, energy and food harvesting, they stated. The circular or closed-loop climate concept generates a world in which visitors are able to immerse themselves in silence, warmth, coolness, light, darkness, agriculture and water, and in which they can discover natural ways of controlling climate. In Dubai’s dry desert climate, the Netherlands will create a temporary biotope, it added. 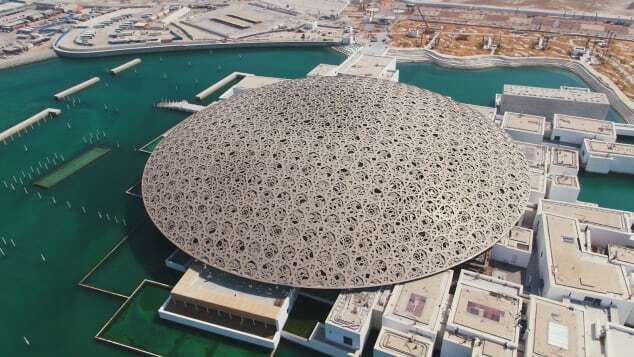 Explaining the concept, the Dutch Dubai consortium which together commands a wealth of experience and a strong network, said the pavilion will be built using a construction method and materialization that makes the closed-loop circularity concept intelligible. To minimize transport, the entire pavilion will be constructed with locally sourced construction materials, it stated. All materials will be either given back or recycled after the expo closes, a strategy that will keep the pavilion’s ecological footprint as small as possible. Building on the Netherlands’ international reputation for excellence in civil engineering, which is especially strong in the Gulf region, the pavilion is a temporary exercise in pragmatism. In contrast to the civil engineering character of the exterior, the interior adds a scintillating layer of light, tactility and refinement, inspired by the typical rhythm of the Dutch landscape and geometric patterns and elements from the Arabic culture, the consortium said. The pavilion is in the Sustainability district and forms the culmination of the Netherlands’ multi-year campaign in the Gulf region, focusing on Dutch expertise in the domain of water-energy-food. In addition to its presentation of ‘the Netherlands’, the pavilion is also a meeting point for the business community, educational and research institutions, governments and social organizations. The pavilion brings together all the necessary know-how and technology in the fields of pavilion construction, architecture, interactive visitor experiences, closed-loop technology and sustainable building. The Saudi Arabian government has signed five agreements to build more than 19,000 housing units, the latest effort by the kingdom to provide residential real estate for its citizens. According to a statement by the Saudi Ministry of Housing, the move is part of its major housing development programme Sakani, and represents an extension of previous agreements signed by the ministry with a number of developers to create thousands of homes in different regions across the kingdom. The number of units at the first project in Murooj, Jeddah – located on private land – will include 10,000 units, with the second project in Tanal, Riyadh set to house 1,008 properties. A third project in the city of Al Khobar on Saudi’s East coast will have 273 units, followed by a fourth in Qassim with 78 units. The fifth project in Jeddah will be the second-largest under the ministry’s latest announcement, set to eventually house 8,000 units in total. The ministry said all projects will include mosques, parks, and green areas, as well as sites dedicated to government agencies. The deals were signed in the presence of HE Majid bin Abdullah Al-Haqail, Saudi’s Minister of Housing, and Mohammed bin Saleh Al-Bati, chief executive officer of the National Housing Company, as well as a number of officials from Ministry of Housing and Real Estate Development Fund. In the same statement, the ministry stressed its desire for fruitful cooperation with qualified real estate developers to add housing units and support housing supply in the kingdom. The news comes amid a flurry of activity in Saudi’s property sector, both in the private and public space. September 2018 saw real estate giant the Al Akaria Saudi Real Estate Company (Sreco) ink a framework agreement with Presidency of State Security for various real estate services in the kingdom. In August 2018, Saudi property developer Dar Al Arkan reported a massive 892% rise in quarterly profits, thanks to higher real estate sales. Dubai has been named among the top 10 destinations to visit in a ranking of 100 cities. The Best Cities index rates cities on six key areas – place, people, product, prosperity, programming and promotion, which considers factors such as attractions, the economy, entertainment and quality of recommendations on sites such as TripAdvisor. London topped the ranking, followed by Paris, New York, Tokyo and Barcelona. Dubai, the top city in the Middle East, was ranked in ninth place. “An alluring blend of over-the-top architecture and Arab heritage, Bedouin culture, traditional souqs and luxury shopping, Dubai rises from the golden sands like a mirage,” reads the Dubai entry for the Best Cities index, which was compiled by Canadian branding and marketing expert Resonance Consultancy. The index also highlights the emirate’s religiously tolerant, socially liberal and future-forward “brand”. “The emirate comes in at number two in the world in our Place category, for which we look at influential factors like Crime Rate, Neighborhoods and Landmarks, Weather, and Parks & Outdoor Activities,” said the description. The emirate welcomed 15.8 million international overnight visitors in 2017, up 6.5 per cent on the previous year. The other cities in the top 10 were Moscow, Chicago, Singapore and San Francisco. Abu Dhabi was ranked in 40th place, above cities such as Orlando, Venice and Athens. “The UAE’s second city passes on the ostentatious and pursues the culturally significant,” says the Best Cities’ description for Abu Dhabi. It says the capital is currently ranked number 183 for museums, that is about to change with the opening of Louvre Abu Dhabi, Guggenheim Abu Dhabi and the Zayed National Museum. “In the meantime, Abu Dhabi continues to promote heritage and nurture a rich cultural environment,” says the Best Cities ranking. A record 4.88 million people stayed in Abu Dhabi’s 162 hotels and hotel apartments last year, according to official figures, which represents a 9.8 per cent year-on-year increase in overnight stays. Conrad Hotels & Resorts today announced the signing of Conrad Marjan Island Resort. Expected to open in 2022, the Conrad property is located on Treasure Island, one of the five man-made islands that makes up the cluster of Marjan Islands located to the west of Ras Al Khaimah. Located on a pristine beach, Conrad Marjan Island Resort will offer 120 guest rooms including beach and over-water villas. Guests will be able to take advantage of world-class facilities including a fitness center, salon, spa, outdoor pool, tennis courts and a Kids Club. The hotel will also feature an extensive range of dining options including two signature restaurants, a pool bar and beach bar. 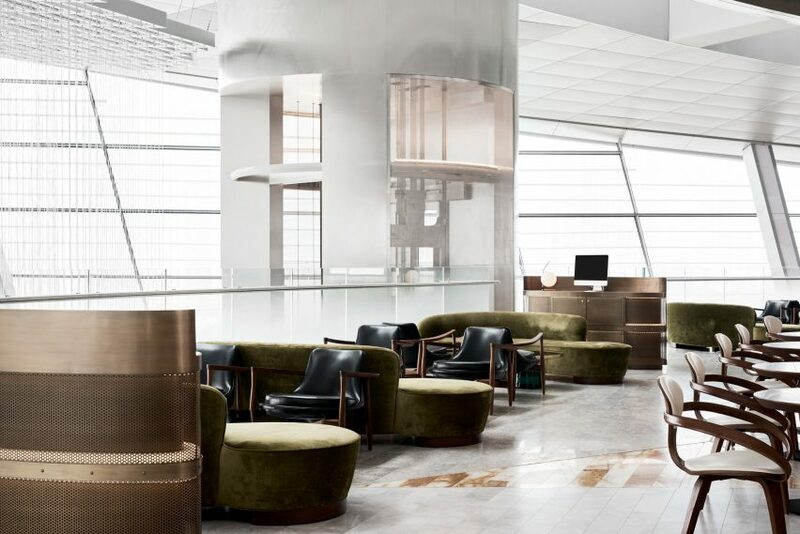 Conrad Marjan Island Resort will join Conrad’s nearly 35 properties across more than 21 countries, which all create a seamless connection between contemporary design, leading innovation and curated art to inspire the entrepreneurial spirit of the globally-connected traveler. Like all Conrad hotels, Conrad Marjan Island Resort will deliver a seamless service that is natural, anticipatory and enhanced by innovation. It is consistent in delivery, flawless in execution and allows guests to personalize every aspect of their experience. Conrad Marjan Island will help meet the increased demand of travel to the emirate, along with need for quality, internationally-branded residences. Ras Al Khaimah boasts pristine beaches, historical sites and adventure attractions, such as the world’s longest zipline. The emirate’s extensive leisure tourism offering makes it a popular destination for local and international visitors alike. To connect travelers to the emirate, Ras Al Khaimah International Airport is welcoming direct flights from a growing number of countries, including Poland, Russia, Luxembourg and the Czech Republic. Ras Al Khaimah is also easily accessible from Dubai International Airport, which served more than 88 million passengers last year, making it the busiest airport in the world in 2017. UK and Singapore headquartered JPA Design, has expanded to the Middle East merging with Dubai’s S2 Interiors. S2 Interiors is an award-winning boutique interior architecture and design studio. The new entity will trade as JPA Design and will be based in Dubai, serving the Middle East and North Africa (MENA). This will add design skills and resources to the teams in the London headquarters, and to Singapore, which serves Asia. Established in 2015, S2 Interiors specialises in residential, hospitality, commercial, and government projects. The company has worked on projects for leading global property developers, hotels and several government agencies in the Middle East. Notable projects include 17 ICON BAY, a premium waterfront residential development in Dubai, the Ibn Battuta Avani Hotel, the Premier Inn Dragon Hotel, the Al Khail Avenue Double Tree Hotel, and the Dubai Labour Courts. JPA Design has named Samiha Al Hashimi, founder and managing director of S2 Interiors as the managing director of the JPA Design, Dubai to lead the team, overseeing operations, business expansion and projects in the Middle East & North Africa (MENA) region. “This merger marks a new chapter, broadening our expertise and capabilities in the industry. As JPA Design we will be able to strengthen our commitment to offer exceptional designs and deliver comprehensive services combined with creativity, technical expertise, and attention to detail,” said Hashimi. From its uber-luxury, sail-shaped Burj Al Arab hotel to the Burj Khalifa, the tallest building on the planet, when it comes to impressing even the most world-weary travellers, Dubai knows how to pull out the stops. It latest addition to the skyline – the 95m-high The Opus building – has ramped up the city’s architectural prowess even further. What’s more, found inside, is the new ME Dubai, designed by the late, legendary architect Zaha Hadid, and set to debut in 2020. It is the only hotel project where the architect personally designed all of the interiors and exteriors. The first property in the Middle East from the luxury lifestyle hotel brand, ME by Meliá, it is an integral part of The Opus, which completed earlier this year and was itself designed by Hadid. Situated in the heart of the upcoming Burj Khalifa district in Downtown Dubai, the development is guaranteed to be one of Hadid’s must-see legacy projects. Aldar Properties, a leading property developer in Abu Dhabi, UAE, has signed up Al Rakha Contracting & General Transport LLC to complete the infrastructure buildings and early works package for the first neighbourhood in the Phase Two of its Dh10-billion ($2.72 billion) project Alghadeer, located close to the border of Abu Dhabi and Dubai. A mega development, Alghadeer offers an unparalleled opportunity to benefit from living between the cities Abu Dhabi and Dubai with easy access to the UAE’s arterial highways, and close proximity to the Dubai Expo 2020 site, which is located in the Dubai South district, near Dubai World Central Airport. The destination is designed for people who want a healthy, sustainable and smart way of living, while still enjoying convenient access to the city, said the Abu Dhabi developer. As per the Dh335-million ($91 million) deal, Al Rakha Contracting & General Transport will construct 707 maisonettes, townhouses and villas following the site preparation work. This neighbourhood is located in the north west section of the masterplan, which features over 14,000 homes, commercial properties, cultural and institutional amenities and entertainment attractions to be built over the coming 15 years, stated Aldar. At the heart of the giant project will be Harvest, a multi-use agricultural led space featuring allotments, as well as The Hubn – a F&B (food and beverages) outlet, The Studio – an educational area for training and workshops, The Shed – a dedicated area for purchasing farming tools and supplies, and The Market – a retail area for freshly grown produce, and The Field – where people can rent plots and grow their own produce. Appealing to those who prefer wide-open spaces and unique recreational amenities, the destination also feature lakes, running and cycle tracks, gym, camping and BBQ sites and a network of walkable gardens and parks lit entirely by solar powered lights, stated the Emirati developer. Golden Gate Developers, a joint venture between Bahraini-based company Kooheji Golden Gate and Indian real estate companies Ajmera Realty and Mayfair Housing, has unveiled its new residential development project, Golden Gate, which will come up in the heart of Bahrain Bay. guests were treated to a 360-degree virtual reality tour, enabling them to walk through the property and have a virtual experience of living in these homes. The joint venture said it has revolutionised the way real estate is viewed by introducing buying off-plan and allowing attendees, buyers and potential buyers to envisage the property and experience what the future of real estate is. The joint venture between Kooheji Golden Gate and Ajmera Realty and Mayfair Housing represents a partnership to change the landscape of real estate in Bahrain with this project, said senior officials at the event. With years of experience combined and their ambitious nature, the partners has revived decades worth of trade relations between the two nations, further cementing it with the creation of Golden Gate and for many years to come. This partnership aims at fostering a long-lasting relationship between these two nations and attracting more foreign investment into the country, they added. The property will be situated in the heart of Bahrain Bay, one of the most desirable locations for residential and commercial developments in the country, with amenities and transport links easily accessible for the residents. Golden Gate will be spread over a sprawling 140,000-sq-m area providing striking views of the waterfront and iconic Bahraini landmarks, distinguishing itself from other developments and buildings in the area. Their modernistic interpretation of traditional architecture is Golden Gate aims to become the tallest residential towers in the country, consisting of two towers with 45 and 53 stories and a total of 746 luxurious apartments, starting at BD45,000 ($118,481). The development stands out with its design that fuses both Bahraini and Indian cultures, paying homage to their rich cultural backgrounds. Mayfair Housing chairman Nayan Shah lauded Bahrain Bay’s potential and dubbed it as one of the best waterfront developments in the world. LAVA‘s design for the german pavilion at the expo 2020 dubai incorporates an airy construction with a freeform roof, enclosing a vertical campus of nature and technology. taking cues from previous german expo pavilions, such as mies van der rohe’s barcelona 1929, frei otto’s montreal 1967, and fritz bornemann’s spherical concert hall osaka 1970, the lightweight structure features a series of interlinked floating cubes for exhibition and events spaces. LAVA has developed the concept also in response to dubai’s climate, referencing the local typology of the courtyard house with closed exterior facade and rooms oriented towards an inner airspace. the result is a composition of immersive exhibition experiences and enclosed air space that generates an intriguing exchange between interior and exterior spaces. from intelligent use of local climatic conditions to materials reuse, to construction, everything in the pavilion demonstrates LAVA’s philosophy of sustainability at multiple levels and establishes a strong visual symbol and example for visitors. the vertical structure comprises a landscaped layer on the two lower levels and the cloud roof, which is enveloped in an opaque, trapezoidal single-layer ETFE membrane. the metallic skin lets light rays into the interior through many small openings, similar to sunlight penetrating forest foliage, creating a continuously changing visitor experience. the expo 2020 theme is ‘connecting minds, creating the future’ and it runs from 20 october 2020 to 10 april 2021. Danube Properties, a UAE-based developer, has awarded a Dh149.5 million ($40.6 million) contract to Cast Construction, a civil construction company in Dubai, for main construction works of its residential project Jewelz located at Arjan, near Miracle Gardens. The developer’s tenth housing project, Dh300-million ($81.6 million) Jewelz offers 463 residential units, ranging from studio, one and two-bedroom apartments. It is attractively located on a plot adjacent to the park with a private entrance leading to the property. The project, which was launched this March, is scheduled for delivery in the first quarter of 2020. The key amenities at the property include a fully-equipped health club, swimming pool, steam and sauna room, multi-purpose hall, jogging track, barbecue deck, badminton court, paddle tennis court and a high tech surveillance system for the protection and security of the residents, said a statement from Danube. The building design and architectural aesthetic was created to reinforce the design strategy of Danube, which helps maximise the living space while delivering convenience of community living. The project dedicates 50 per cent space to open areas with an emphasis on greenery and landscapes, it added. “We are determined to deliver all our projects to our customers on time. The awarding of the main construction contract within seven months of the launch of the project reflects our strong commitment to our customers,” he noted. Following the commercial launch of properties and subsequent sell-out, Danube usually starts tendering for the construction of the project, before launching the next project, he added. Atif Rahman, the director and partner of Danube Properties, said the latest construction contract has raised its construction contract value to Dh1.4 billion across ten projects. “As a developer, our key objective is to deliver projects on time and with supreme quality and in most cases we have been successful in deliver better than promised value in our real estate projects. In this endeavour the contractor becomes a key stakeholder and I ensure selection of the best available partner to deliver nothing less than the best,” stated Rahman. “Backed by the phenomenal sales success I am extremely pleased that all our ongoing projects are strongly placed and progressing well with their respective construction. I am very confident that our partnership with Cast Contracting will set a new benchmark of construction quality,” he added. AED 58.32 million net profit for the first 9 months of 2018. Earnings per share worth 9.33 fils for Q3 2018. Operating revenues generated from sales hit AED 149.77 million. Operating revenues generated from rentals worth AED 76.14 million. Al Mazaya Holding, one of the leading real estate development companies in GCC, has announced its financial results for the third quarter of 2018, declaring net profit at AED 58.32 million and earnings per share at 9.33 fils. Following the company’s board meeting on Tuesday, October 30th 2018, it was announced that Al Mazaya Holding`s total operating revenue is AED 226.85 million by the end of Q3 2018. And revenue generated from sales up to AED 149.77 million, with rental revenues increasing 12.43% to AED 76.14 million against AED 67.72 million for the corresponding period last year. Al Mazaya continued to secure high occupancy rates in its income streams across the region including Kuwait, Dubai, Saudi Arabia and Bahrain. The company has secured sale profits from its units set for sale including those in Q-Series projects in Dubailand as well as its Mazaya Residence Project in Oman. Al Mazaya Holding’s total assets reached AED 2614.41 million by the end of Q3 2018, while stockholders’ equity amounted to AED 1,293.29 million during the same period. — Al Mazaya Residence Phase I in Oman, has been completed and handed over to the Company by the main contractor. Work is underway with State departments in Muscat to establish a householders’ association to follow up and supervise the project. Al Mazaya has also signed a management contract with Bait Al Osool Real Estate, a specialised service provider in the field of facility management. Up to 44% of the project’s 148 apartments and shops have been sold. Al Mazaya Residence is an integrated residential project located in the Al Seeb Province in the heart of the Omani capital, behind City Centre. Construction work started at the 132-unit Phase II, which means more than 50% of this phase, expected to be marketed soon, has been completed. –Al Mazaya is working on full-fledged financial and technical business plans to be submitted for developing Jaber and Sabah Al Ahmad Cities as part of the public-private partnership programme for the benefit of the Public Authority for Housing Welfare. –Al Mazaya has made significant progress in signing new investment contracts for managing its third project in the medical sector, “Mazaya Clinic III” which consists of 25 floors and a total area of around 4,000 square metres in Bneid Al Qar area. Work is in full-swing to equip the building and prepare it for receiving contracting doctors. Investment contracts have already been signed on the pharmacy area, radiology unit and coffee shop, which constitute the main elements to complete the operation of the building. -Completion of the schematic design phase at its new project in Al Sharq area in Kuwait (Mazaya Downtown) through PACE, an integrated architecture, design, planning and consulting firm based in Kuwait in preparation for getting the construction licence from state departments concerned. This followed the completion of the concept design phase through Gensler, a leading architecture, design, planning and consulting firm based in London. Significant progress is being achieved in getting necessary licences to get excavation work started. – Continued selling and renting Ritim Istanbul Development, which consists of six residential towers and a mall. The occupancy rate at the mall, which houses a collection of world-class brands, reached 60% so far. Al Mazaya Holding concluded by saying it’s currently considering a number of investment opportunities available on the regional markets it is operating in, in addition to those available on global markets especially in Europe in line with its ambitious expansion strategy. The company is closely following up the ongoing developments on global financial markets and their impact on the realty sector out of its desire to establish new projects and partnerships with leading investors with the ultimate objective of securing the highest possible returns for the company and its shareholders. (CNN) — From its Bedouin past as a modest fishing and pearl diving port to the discovery and production of oil, Abu Dhabi has risen from the sands along the Arabian Gulf to become one of the world’s wealthiest cities. Today, the capital of the United Arab Emirates is known not only by its prosperity, diversity and tolerance, but by its modern architectural wonders. Here are some of the city’s extreme skyline attractions to see when you travel here. 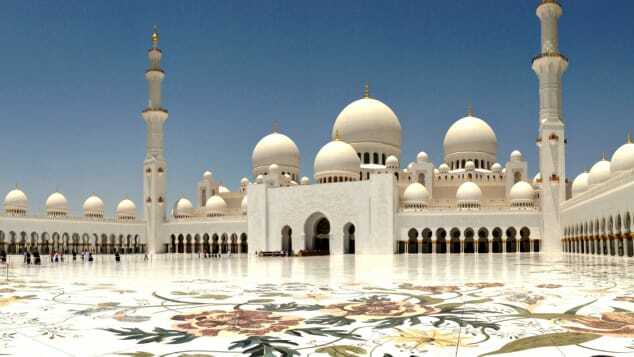 The impressive Abu Dhabi Grand Mosque. Built to unite cultural diversity within the Islamic world with the historical and modern values of architecture and art, Abu Dhabi’s Grand Mosque is open to visitors of all faiths and can feel more like a monument to the UAE’s religious tolerance (and wealth) than a place of devout Muslim worship. Still, Abu Dhabi’s Grand Mosque welcomes up to 40,000 worshippers during the Eid al-Fitr festival to mark the end of Ramadan. One of the largest mosques in the world, the interior courtyard features the world’s largest marble mosaic, and the intricately designed interior floral carpet is considered the world’s largest prayer rug. Smart travelers visit in the late afternoon to take in the mosque’s bright white marble and floral inlays, then stay through the echoing evening call to prayer as 82 domes and four minarets are lit in a purplish-blue hue, carefully curated to match the phases of the moon. The other super-famous leaning tower. With an 18-degree twisting tilt (compared to Pisa’s mere four-degree lean), the 35-story building appears to bend with the desert winds. 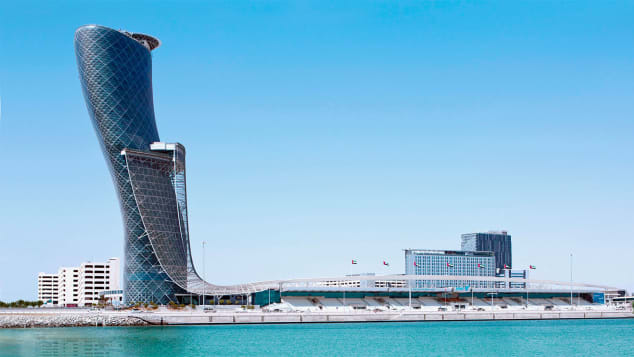 Home of the Hyatt Capital Gate Hotel, there are plenty of ways to lean-in for an over-the-top experience. A decadent brunch with a view is served on Fridays, complete with free-flowing Champagne and too many food stations to choose from. The suspended outdoor pool on the 19th floor offers sightlines of the city’s most western edge and outer islands. Guestrooms have floor-to-ceiling windows including bathrooms with freestanding bathtubs with a view. Etihad Towers is known for its dramatic architectural style. One of the most defining features of Abu Dhabi’s skyline is Etihad Towers. With its dramatic, curved exterior, lit up at night it’s a display of modern architectural splendor. Located at the westernmost section of Abu Dhabi’s Corniche, a seaside promenade, Etihad Towers features five high-rises for residential and commercial use, and an upscale mall with names like Hermes, Rolex, Cartier and Versace. 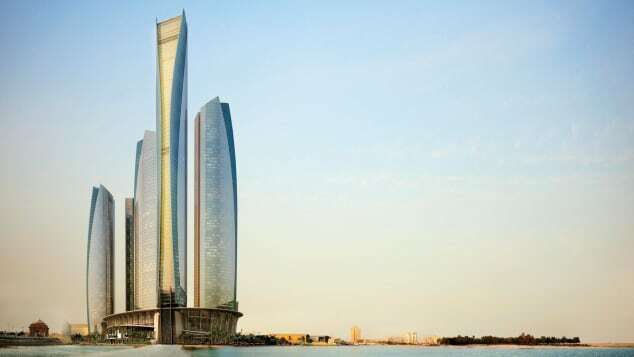 Once Abu Dhabi’s tallest building, the structure is also home to the five-star Jumeirah at Etihad Towers Hotel. 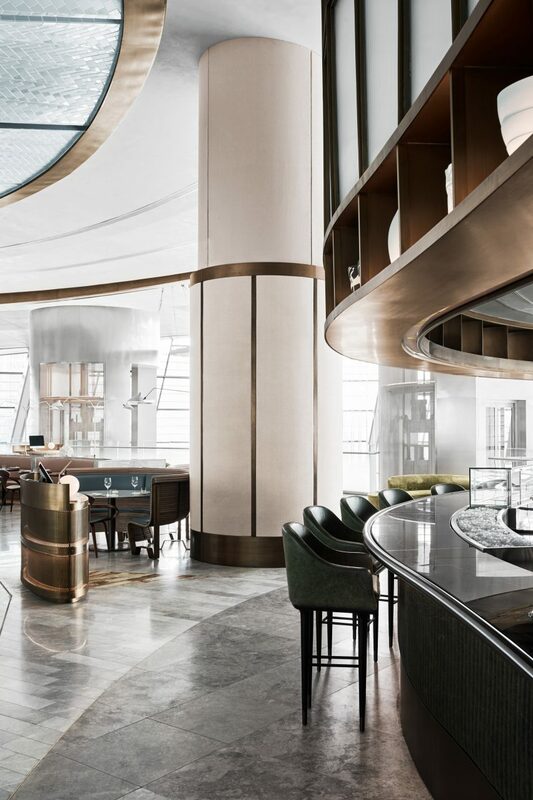 Here, visitors head to the 62nd floor and home of Ray’s Bar, an elegant marble and glass lounge offering near 360-degree views of Abu Dhabi’s stunning skyline and the Arabian Gulf — all served up with some of the best cocktails in town. The opulent Emirates Palace Hotel in Abu Dhabi. With its domed atrium (the largest in the world), interiors gilded with 86,000 square feet of 22-carat gold leaf, expansive gardens, a marina, suites reserved exclusively for the region’s governing sheiks, and a vending machine dispensing “golf to go,” Emirates Palace exudes the opulence and hospitality characteristic of an Arabian royal residence. Costing an estimated $3 billion to construct, Emirates Palace is one of the most expensive hotels ever built. An overnight stay in a three-bedroom suite costs upwards of $15,000. If that’s not in the budget, the hotel’s BBQ Al Qasr provides a taste of the life of a sultan. Arabic grilled steak and camel burgers are on the menu, served under the stars overlooking the Palace’s private beach. The Louvre Abu Dhabi is a must-visit for art lovers. Home to an extensive collection demonstrating the intersecting points of Eastern and Western art and culture, Louvre Abu Dhabi is the most significant addition to the Arab art world in recent times. Housed in a masterpiece structure conceived by Pritzker Prize-winning French architect Jean Nouvel, the museum looks like a floating dome when seen from afar. The stark and steely web-patterned roof softens the sun’s power, creating the “rain of light” effect of walking under a protective umbrella of palm trees. The museum’s free-standing galleries under the dome create a medina-like footprint that offer visitors a maze of hidden outdoor spaces to explore with some of the best city and Gulf views available. Ferrari World has more than 20 attractions. 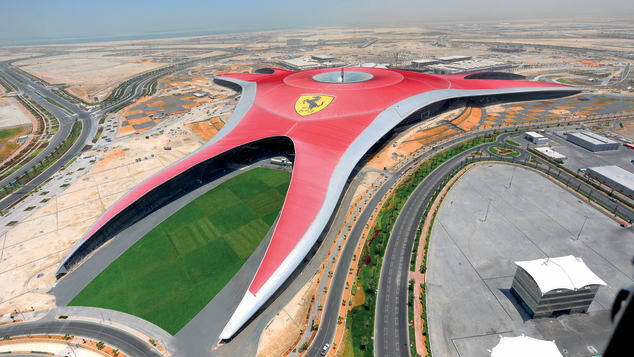 The largest space frame structure ever built, Ferrari’s World’s low-slung, bright red roofline with the famous Ferrari shield — the classic black prancing horse symbol on yellow background — is a Yas Island landmark. Ferrari World joins the new Warner Brothers World theme park, a golf course, waterpark, shopping mall, as well as the racetrack where the Abu Dhabi Grand Prix takes place, in this destination dedicated to leisure pursuits. Ferrari World has more than 20 attractions and thrill rides, including four roller coasters. For speed seekers, the Formula Rossa is the world’s fastest roller coaster, reaching a speed of 150 miles per hour in less than five seconds. If that’s not enough, the park’s Flying Aces features the world’s tallest roller coaster loop. Meilenstein, a real estate developer that traces its origin in Germany, has announced its foray into the UAE’s real estate market with eight projects with a development value exceeding Dh1.2 billion ($327 million). The projects are to be built in several locations across Dubai, including Mohammed Bin Rashid City (MBR City) within Meydan City, Al Furjan, Dubai Studio City and Dubai Sports City. The company has already invested Dh500 million ($136 million) in company formation, office set-up, talent acquisition, land acquisition, infrastructure and other ground works, etc, a statement said. “We are going to invest a further Dh2 billion in developing projects in 2018 and 2019 and the numbers will then go up once we start building the projects and selling the properties,” Jawad Azizi, managing director of Meilenstein Developments, says. The news comes at a time when the property market enters into an interesting phase where end-users are expected to migrate from leasehold to freehold properties with reasonable prices and more attractive payment terms. Land transaction value in Dubai exceeded $44.14 billion (Dh162 billion) in the first nine months of the year, Dubai Land Department said in a latest report. This is higher than the gross domestic product (GDP) of more than 100 independent countries in the world today. According to the report issued by DLD’s Department of Real Estates Studies and Research, in the first 9 months of 2018 recorded 25,473 sales transactions worth more than Dh56.6 billion, about 11,000 mortgage transactions worth over Dh86 billion and 3,486 other transactions valued at Dh19.3 billion. During the first nine months of the year, Dubai received 27,174 investments through 21,605 investors, totalling nearly Dh50 billion, reflecting the emirate’s sustained growth for years, consolidated by the huge diversity of investors from the UAE, the GCC, the Arab World, and the world at large. “Meilenstein Developments is German based. In Germany, Meilenstein owns FMA GmbH, Main-Tur GmbH companies which are into real estate and brokerage. Within the UAE, we are into manufacturing, interior decor, e-commerce and retail,” he says. Nadhmi Al-Nasr says team behind Red Sea coast mega project is working ‘day and night’ to bring it to reality. The Saudi government says NEOM – billed as a regional silicon valley – will draw investments worth $500 billion from the kingdom’s vast Public Investment Fund, as well as local and international investors. Saudi Arabia’s $500 billion NEOM project is progressing steadily, according to its CEO Nadhmi Al-Nasr. The mega project being built on the Red Sea coast, which was unveiled by Crown Prince Mohammed bin Salman last year, comprises a 26,500 sq km area in the far north-west of Saudi Arabia. The project aims to create a global model in various spheres by focusing on advanced industries and technology, with robots being used for many services and power being generated solely from wind and solar energy. The city is planned to operate independently from the “existing governmental framework” with its own tax and labour laws and an “autonomous judicial system”, according to initial announcements. Speaking at the Future Investment Initiative conference in Riyadh, Al-Nasr said: “I have been leading tens of meetings behind closed doors here with all the partners we have been talking to over the past two years. And the emphasis of all these meetings is commitment and ‘let’s go’ and ‘let’s move on’. He said considerable progress has been made on the NEOM project over the past year, adding: “I can tell you that over the past 12 months there has been massive work. There is a team working day and night, going through the steps that we have to do to bring NEOM on the ground. He said phase 2 is set to conclude in the second quarter of next year, when the project will enter the execution and construction stage. “NEOM is one of the richest historical regions in the Kingdom and in the whole region. It is the meeting point of thousands of years of history of this region,” he said. Architecture and engineering firm Calatrava is expanding its portfolio in the UAE market through its regional hub office in Dubai. At the helm of operations in the region is Micael Calatrava, son of starchitect, Dr Santiago Calatrava. The Zurich-based firm has some high profile projects in Dubai is the design of Dubai Creek Tower, located in one of the most ambitious developments in Dubai by Emaar Properties PJSC, Dubai Creek Harbour is a smart and sustainable city of the future. Its several enthralling observation decks will offer 360° views of Dubai Creek Harbour and Ras Al Khor Wildlife Sanctuary. 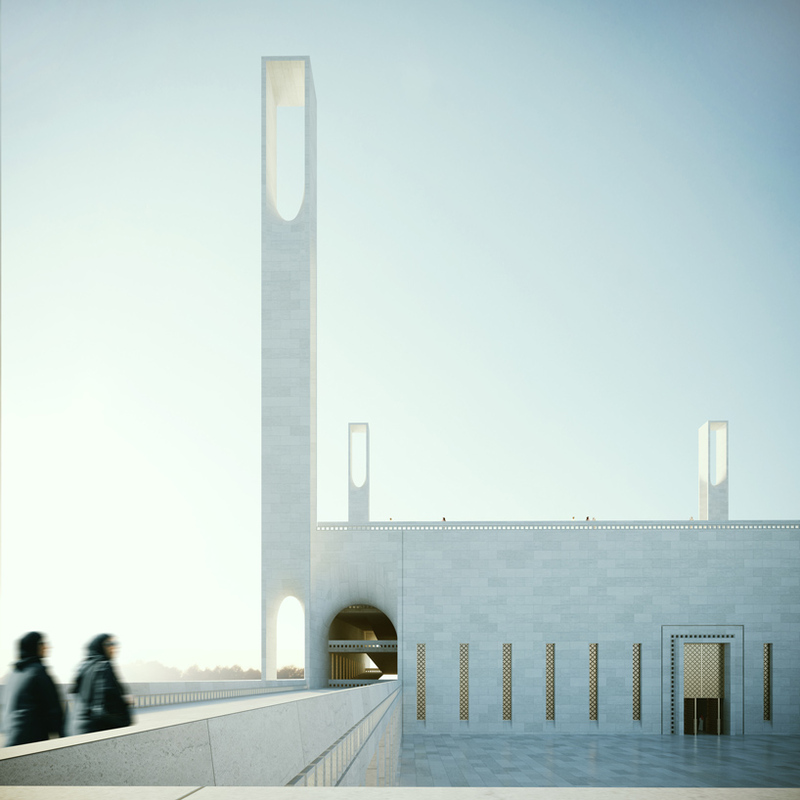 Inspired by the lily flower and traditional minarets, the column is also accentuated by more modern architectural lines. The other high profile project is the falcon-inspired UAE Pavilion at the Dubai Expo 2020, which is a 500-acre exhibition area that will be exposed to around 25 million visitors during Expo 2020. Nine architectural firms competed over the project for seven months and the National Media Council (NMC) handed the project to Calatrava. Dubai, the largest city of the United Arab Emirates, is well known for being a very modern city. The city is always coming up with new projects and is home to many standout developments. The Dynamic Tower will definitely be something worth seeing. (Newswire.net — October 26, 2018) — Dubai, the largest city of the United Arab Emirates, is well known for being a very modern city. The city is always coming up with new projects and is home to many standout developments, such as its man-made island and the world’s tallest building. Its newest introduction may soon be a skyscraper, and not just a standard skyscraper, but the world’s first rotating skyscraper. The project of the Dynamic Tower of Dubai foresees an 80 story building, 1,273 feet high that is able to rotate 360 degrees in both directions. In a New York press conference in 2008, the tower’s architect, Dr. David Fisher of Dynamic Architecture, said, “My buildings are unique because they are the first that will be dynamic and change shape every moment, first to be built in a factory and the first to be completely self-powered.” Not only will it create more power than it uses, it would have build-in solar panels and produce enough energy via its wind turbines to sell the excess to the city of Dubai. The entire building would be made of prefabricated units, equipped with flooring, piping, and all finishes. Site risks and costs would be reduced with prefabrication, which Fisher would estimate a cost savings of at least 20%. Upon completion, residents of the Dynamic Tower would be able to spin their apartments just by speaking, due to integrated voice-activated technology. Residents on the top ten floors, to be whole-story apartments, could transport their cars to their floor by way of a special elevator build inside the central concrete core. Fisher first thought of the plan for a rotating floor while looking out from the Olympic Tower in New York and seeing how the top floors offered views of both sides of the island. So he thought, “Why don’t we rotate the entire floor? That way, everybody can see both the East River and the Hudson River, as well as Saint Patrick’s Cathedral!” He says this is what inspired the idea of a building that could continuously change its shape. The Dynamic Tower is seamlessly set to open for Expo 2020, an event to celebrate human ingenuity with a theme of “Connecting Minds, Creating the Future”. More than 5,000 construction projects worth $819bn (SAR3tn) are under way in Saudi Arabia, the Gulf’s largest and most populous country, according to the organisers of The Big 5 Saudi. Citing market research, the show’s organisers said that these 5,200 developments account for 35% of the value of the Gulf’s active projects, with Saudi’s pipeline including gigaprojects such as Neom, and other schemes focused on the long-term goals of Vision 2030. Saudi Arabia’s major urban construction schemes include Phase 5 of King Abdullah Security Compounds, and the expansion of the Grand Mosque. Both projects are said to have a development value of $21.3bn (SAR80bn) and are being developed by the country’s Ministry of Municipalities and Rural Affairs in Makkah. The holy city is also witnessing the development of the $1.7bn (SAR6.4bn) Phase 2 of Makkah Residence hotel, which is due to open by the end of 2019 with 3,000 five-star rooms. The hotel is expect to support Saudi Vision 2030’s ambition to welcome 36 million annual pilgrims to the country. Riyadh, meanwhile, is home of the $3.5bn (SAR13bn) mixed-use The Avenues – Al Malqa project that is due to complete in 2020. Mall of Saudi – An Narjis, the $3.2bn (SAR12bn) mall being developed by the UAE’s Majid Al Futtaim Group, is due to open by 2022 in the Saudi capital. Saudi Arabia National Guard is also building 6,000 villas worth $1.3bn (SAR4.9bn) across 700ha of land in Riyadh. Jeddah is not far behind in terms of a busy development pipeline, which includes the $1.1bn (SAR4.1bn) Darb Al Harmain complex that will likely complete by the end of 2018. Phase 1 of Jeddah Downtown, the $2bn (SAR7.5bn) megaproject, is expected to revamp the city’s Corniche area with 12,000 new homes by the end of 2022. “Despite recent challenges faced by the sector, attributed to low oil prices and a reported shortage of qualified workers, construction is recording a 4.1% increase this year in [Saudi Arabia],” the statement by DMG, citing BNC Network’s report, added. A separate note by BMI Research forecasts the kingdom’s construction sector will grow by 6.13% each year between 2018 and 2022. Commenting on the prospects for construction firms wishing to enter Saudi Arabia, Roni El Haddad, event director of The Big 5 Saudi, said: “The construction sector’s immediate outlook is extremely promising. 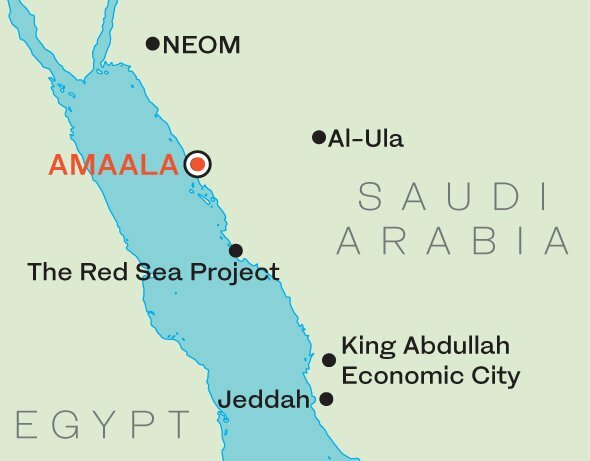 The recent launch of the Public Investment Fund backed multi-billion dollar Amaala resort in September, along with the already announced Neom and Red Sea Project […] is a proof of that. The Big 5 Saudi show will be held on 10-13 March 2019 at Jeddah Centre for Forum and Events. The design world lost one of the greatest visionaries of the modern age when Zaha Hadid died in 2016. The British-Iraqi architect created gravity-defying curved structures such as China’s Guangzhou Opera House and the London Olympics Aquatics Centre. Dubbed the “Queen of the Curve” for her fluid forms, Hadid won all the biggest awards in her field including the Pritzker Architecture Prize in 2004 and the Stirling Prize, twice, in 2010 and 2011. Her unexpected death – of a heart attack while being treated for bronchitis – at 65, came at a time when several of her buildings were still under construction, including the new headquarters for Bee’ah, an environmental management company in Sharjah. Zaha Hadid Architects (ZHA) won the contract for the project in 2013, with a sand dune design inspired by the desert landscape. In the UAE, Hadid’s name is synonymous with the Sheikh Zayed Bridge, the massive four-lane highway with waved arches that connects Abu Dhabi island to the mainland. Rising to 60 metres above the water at its highest point, it became one of the most striking landmarks in the region upon its completion in 2010. 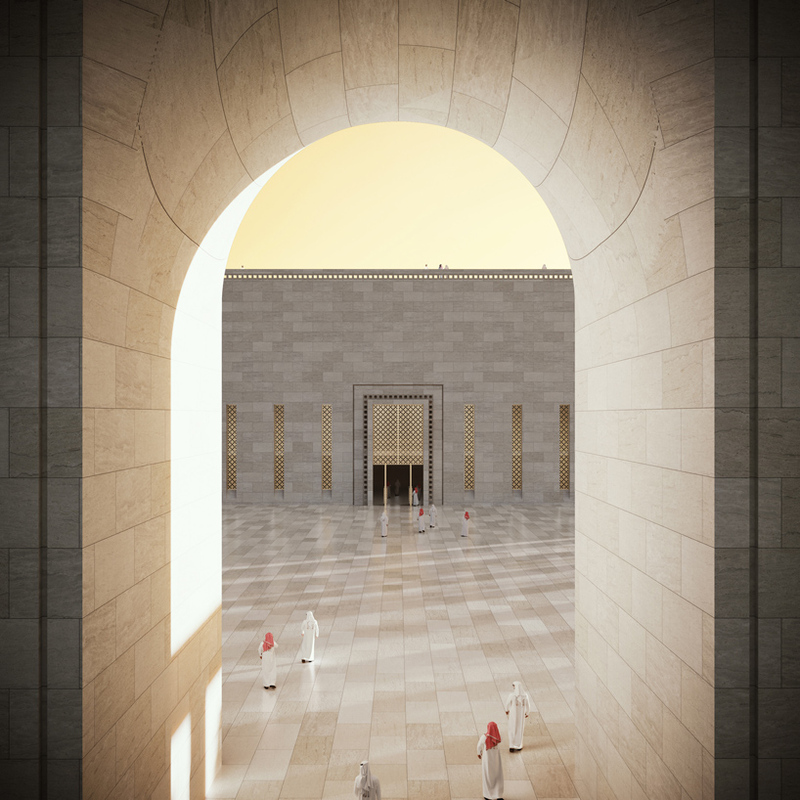 Bee’ah’s building, due to be completed in 2019, is a smaller project in scale, but not in aspiration. Bee’ah aims to be a beacon of sustainability in the UAE, setting new standards for environmental solutions. The company is working to achieve zero waste to landfill and will power its new headquarters using 100 per cent green renewable energy sources. It was these ambitious goals that attracted Hadid to the project. Khayyat heads up the firm’s office in Dubai, which opened in November 2016 and serves the whole Mena region. Before moving to the UAE, he spent 11 years working closely with Hadid at the company’s London headquarters. “Zaha was always fascinated by the landscape. She looked at it as an amazing source of ideas and concepts. The site is literally in the desert in the middle of nowhere and by default, the landscape started provoking ideas. We positioned the building so that it looks as if it is a natural phenomenon by placing it in the direction of the prevailing north wind. Bee’ah is one of more than 60 projects ZHA has under construction or in design, in 29 countries across the world. Hadid set up ZHA in 1980, and the firm is busier than ever. But what is missing now their creative director and founder is gone? One of the people Hadid invested heavily in was Sara Sheikh Akbari, who joined ZHA in 2007. Having proven her talents as a key member of the gigantic Heydar Aliyev Centre project in Baku, Azerbaijan, she is now a project architect for Bee’ah, working from ZHA’s studio in London’s Clerkenwell. “From the moment I joined ZHA, I could see it was a free space for people to explore,” she says. “It was all about learning how to collaborate and work as a team to express ideas, refine them and make them better rather than dictate a path. Because the moment you start doing that, innovation and creativity is gone. Hadid was famed for her temper as well as her brilliance (she once famously demanded to be put on a different flight when she heard she was going to be delayed). But this passion inspired rather than intimidated Akbari, who joined ZHA fresh from her master’s degree. Will the company continue to be at the forefront of architectural innovation? Khayyat certainly thinks so. OYO Hotels launches project for 2020 in the U.A.E. DUBAI, U.A.E. – In a bid to expand its footprint across the United Arab Emirates, the South Asian hospitality chain OYO Hotels has decided to open 150 hotels in the country by the year 2020. As part of its project, OYO aims at launching 12,000 rooms in 150 U.A.E. hotels. Originally launched in 2013, the company currently operates in over 350 cities around the world and raised $1 billion in funding through SoftBank Investment Advisers last month. OYO Hotels has more than 12,000 asset partners in countries including India, China, Malaysia, Nepal and the U.K.
Now, the hospitality brand has said that it will open a training facility in the U.A.E., also plans to create over 10,000 jobs in the U.A.E. within the next three years. The company announced in a statement that it will begin operations in Dubai, Sharjah and Fujairah before expanding into the U.A.E.’s other emirates. The company said it will have ten franchised and operated hotels, with a combined total of 1,100 rooms across the U.A.E. OYO Hotels said that its properties will be operated under franchise models, with full inventory control. Paul Andreu, the famed French architect behind Abu Dhabi airport, has died at the age of 80. Andreu was an expert on airport design and worked on about 40 airports including Charles de Gaulle (CDG) in Paris, Cairo and Terminal 3 of Dubai International Airport. He also completed several major projects in China such as the Grand National Theatre of Beijing. He also designed the French terminal of the Channel Tunnel, the rail link which connects England and France. CDG opened in 1974 and the circular geometry of the original terminal influenced the design of many airports across the world, including Abu Dhabi. Abu Dhabi airport opened in 1982, replacing Al Bateen which now operates mainly for private and charter jets. “Although it is a medium-sized terminal, it has a lot of aircraft, all centered around the satellite, so that planes empty, fill up and then leave as quickly as possible,” was how the project was described by Andreu’s team. The star of the original terminal is the beautiful curved ceiling at the circular waiting area near the arrival and departure gates. Passengers enter the area through a sloping walkway that slowly reveals the design. The ceiling drops downwards and is covered in lime green and blue tiles that form an Islamic pattern. Abu Dhabi airport has since been expanded but the original terminal is unlike many across the globe. Deborah Bentley was Abu Dhabi representative for the Royal Institute of British Architects from 2011 to 2014. “The architecture of the majority of Abu Dhabi’s transportation buildings have celebrated the experience of travel. 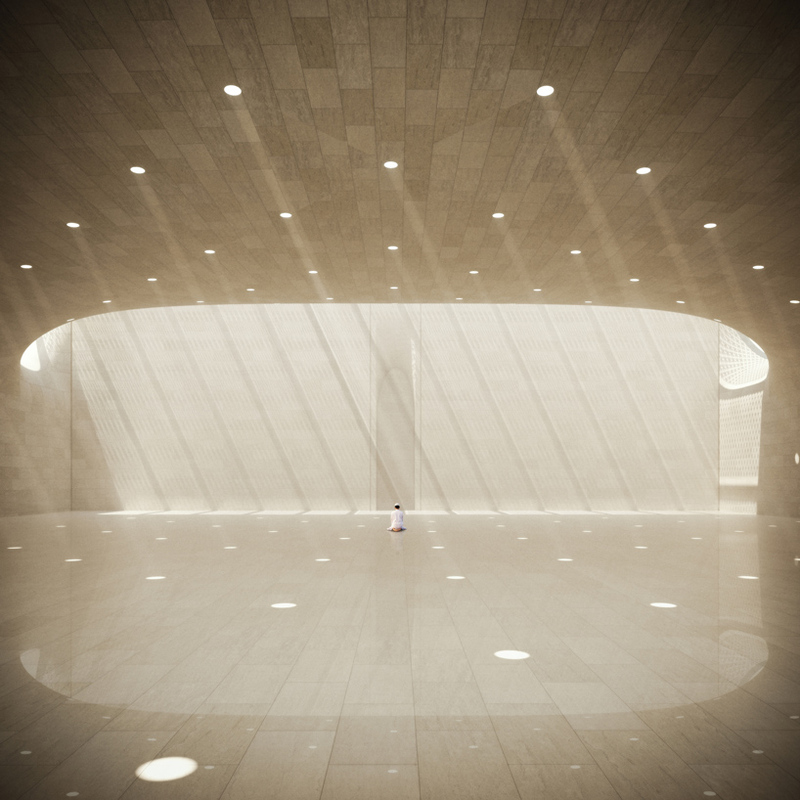 The Al Bateen airport building has beautiful elegant tapered arcade of concrete columns,” she said. Andreu was born in Gironde, southwest France in 1938. He was a member of the prestigious Academie des Beaux-Arts and was also the recipient of the National Grand Prix in Architecture in 1977. Despite a stellar career across several decades, Andreu is most associated with CDG airport. Planes connect with circular buildings, which in turn surround a central circular waiting area and the design reflects a place of exchanges between road and air. Andreu was also involved with the expansion of the airport since it opened in 1974. In 2004, several people were killed when one of the terminals collapsed at the airport. Andreu was reportedly very upset by the event and stopped work for a time. Among the many tributes for Andreu, who died last Thursday, included one from Paris Aeroport, which oversees operations in the French capital’s two airports. “He designed the terminals millions of passengers are walking through everyday,” it said. Andreu was also a painter, writer and engineer. A message posted on his website announcing his death paid tribute to the wide breadth of his work. “Paul Andreu was a complete artist, who fervently devoted himself to the practice of architecture with the talent that we know, but also, what we know less, to literature and painting,” it said. 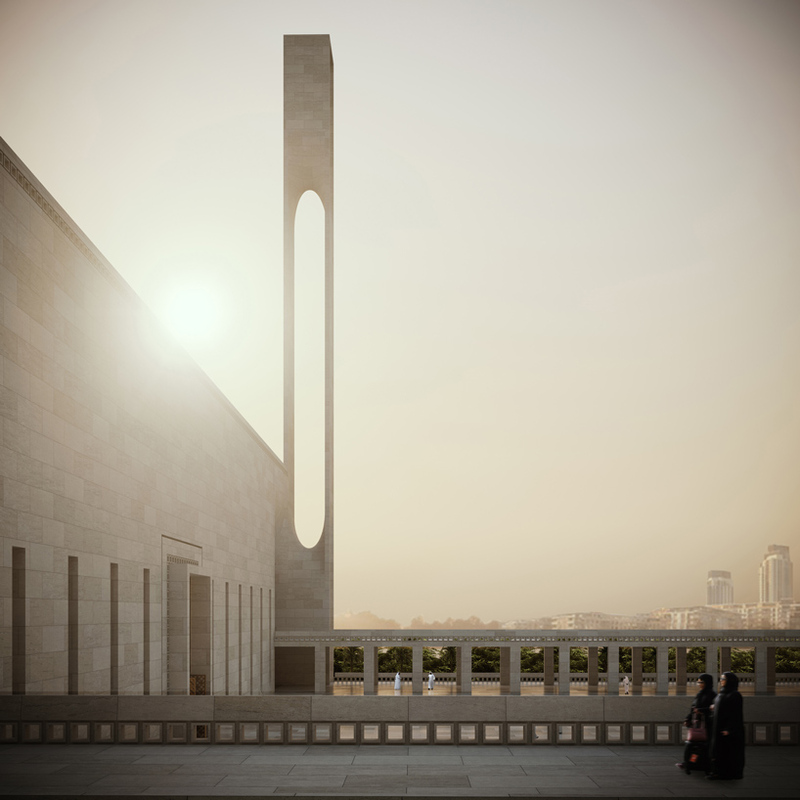 sited in a privileged location on the banks of dubai creek harbour, studio luca poian forms proposes a new iconic mosque. the project envisions an architectural language that is timeless in its materiality and tectonic principles, respectful with the islamic craft and tradition, and innovative with the integration of a new topological approach. located between the emerging development of dubai creek plaza and the lushness of ras al khor sanctuary, the scheme prioritises the need to establish clear contextual relationships to the surrounding city fabric whilst maintaining a respectful attitude towards the adjacent flora and fauna. acting as an urban scale threshold, the programs have a linear organization from east to west that invites visitors to disengage from the sounds of the city and enter the sacred realm of the prayer hall. luca poian forms had taken the basic organizational and compositional principles of the traditional mosque as a starting point. 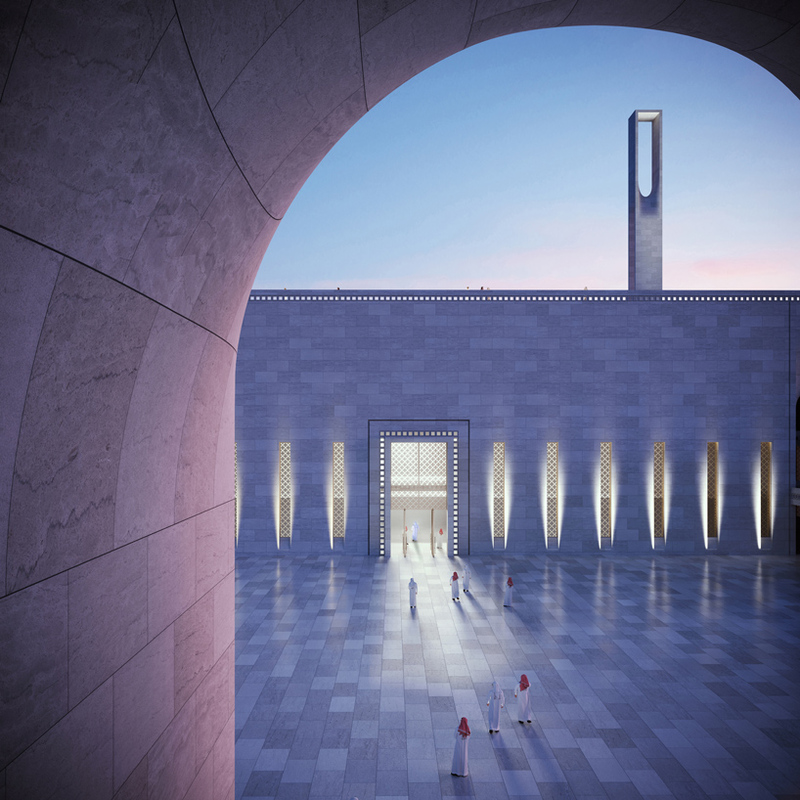 the scheme consists of two major spaces delineated within the boundaries of a unified perimeter wall: a grand indoor prayer hall and an adjoining exterior forecourt. the relationship between these two spaces establishes a clear axial sequence that takes visitors on a linear procession from the fabric of the city to the stillness of the temple, mediating the threshold between the public and the sacred; the physical and the spiritual. the design investigates the use of double-curved vaults as a new topological approach in the design of religious structures. present in a variety of building typologies across the middle east, the vault is a tectonic element that takes advantage of basic geometric principles as a means of achieving a highly efficient distribution of forces whilst producing a rich spatial experience. luca poian forms takes this one step further by looking at a type of minimal surface known as the ‘scherk’ surface, generating a self-supported structural system that locally minimizes its area through a network of bridging arches arranged in a modular checkerboard pattern. the design is thus organised as a series of symmetrically disposed double-curved vaults of varying scale — ranging from the monumental proportions of the grand prayer hall to the slender profile of the minarets. 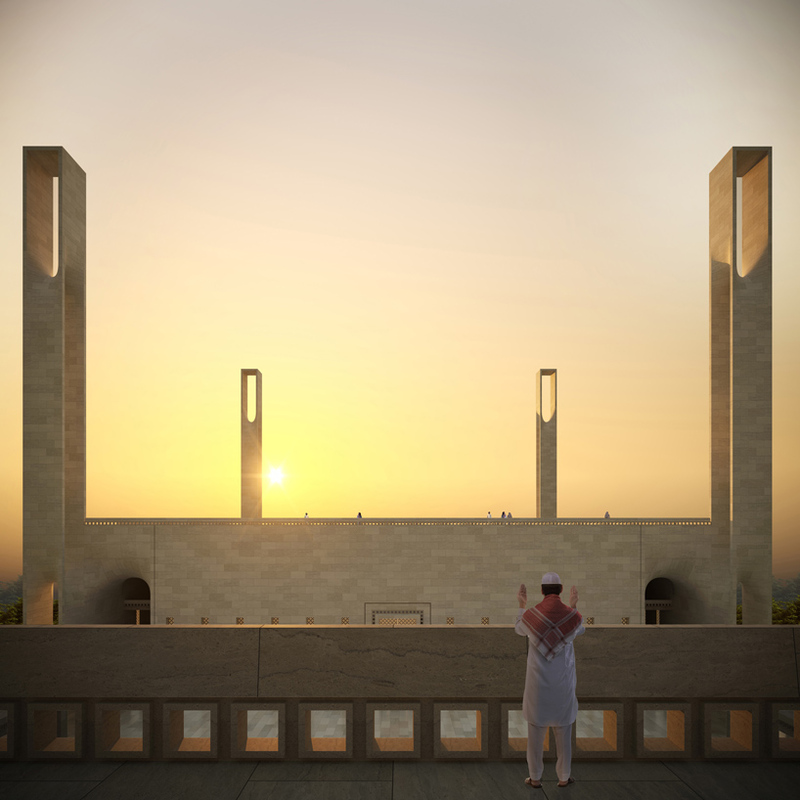 the result is a rich and cohesive architectural language that not only enriches the spatial experience of the visitor, but proposes a new paradigm for the design of sacred architecture across the middle east. The Avenues – Bahrain, the first commercial and leisure mall of its kind in the kingdom with a unique 1.5-km-long waterfront, has won major recognition at the Arabian and African Property Awards 2018-2019 ceremony held in Dubai. The Arabian and African Property Award is one of the most prominent real-estate competitions in the region, where many real estate developers battle for top honours in various industry categories. The final results of the award were announced at a ceremony held recently in Waldorf Astoria Dubai Palm Jumeirah, covering multiple categories including developers, architects, agents and interior designers, said a statement from Mabanee, the owner of The Avenues – Kuwait. Mabanee had earlier received the Best Leisure Development Award from the Arab chapter of International Property Awards for phase IV of The Avenues. It has also received the Best Retail Development award in 2011, as well as Platinum and Gold Awards by Arab Chapter of International Property Awards for the same year, along with various other awards locally, regionally and internationally. According to the company, the project is designed with the same style and concept as The Avenues – Kuwait. It is characterised by a fine architectural design that makes the visitors feel the outside atmosphere under a covered roof which allows the sun light to flow inside eliminating the heat, it stated. The retail hub is also designed in an innovative leisure style that gives the visitors access to a captivating sea front, said the company. All the winners were selected for The Arabian and African Property Awards after a stringent evaluation process by a panel of more than 70 experts, which took into consideration design, quality, services, innovation, creativity and commitment to sustainable development. The international competition was established in 1995 and the first Arabian and African Property Awards ceremony was held in 2006 in the UAE. On the win, Sorouh Company, an associate of Mabanee, said it was a indeed a moment of pride for The Avenues – Bahrain to win top honours at the Arabian and African Property Awards and that too within a year of its launch. Strategically located at the heart of the capital city, Manama, within the Bahrain Bay project overlooking King Faisal road, The Avenues – Bahrain has become one of the most prominent shopping and touristic destinations in the country. The project currently includes Grand Avenue and The Harbour districts, which boasts 130 stores for various international and local brands, including retail brands that are being introduced to Bahrain for the first time, as well as restaurants and cafes with a view on the Gulf of Bahrain. The project also includes a large family entertainment area that encompasses a family entertainment area, ten movie theatres, public parks and jogging tracks. The company is currently finalising the designs for Phase Two of the project, which will include expansion plans to complete the western part, in addition to Hilton Garden Inn, with 210 hotel rooms, which will be directly connected to the mall. Ras Al Khaimah, UAE: UAE-based Indian investor Ivan Richard Menezes, Director of United Ventures and Investments Limited, today announced the launch of a 300-room hotel and discovery, fitness and history-themed entertainment park at Marjan’s flagship development, Al Marjan Island, at a total development value of US$200 million. Al Marjan Island is only 15 minutes away from the Ras Al Khaimah International Airport and 45 minutes from the Dubai International Airport. Al Marjan Island currently has over 1,600 operational five-star hotel keys, including Rixos Hotels, Hilton Hotels & Resorts and Accor Hotels brands, and more than 2,000 residential units including Bab Al Bahar residential and Pacific by Select Group. Fentress Architects has been selected to design the United States Pavilion at Expo 2020 Dubai as a consortium partner with Big Things Group. The yet-to-be-revealed project builds on Fentress’ experience in the region where the Dancing Sisters mixed-use towers opened in 2012. Pavilion USA 2020’s winning design plans for the Pavilion were based on the theme “What Moves You” and will feature highlights of American culture and leading technological revolutions in mobility. 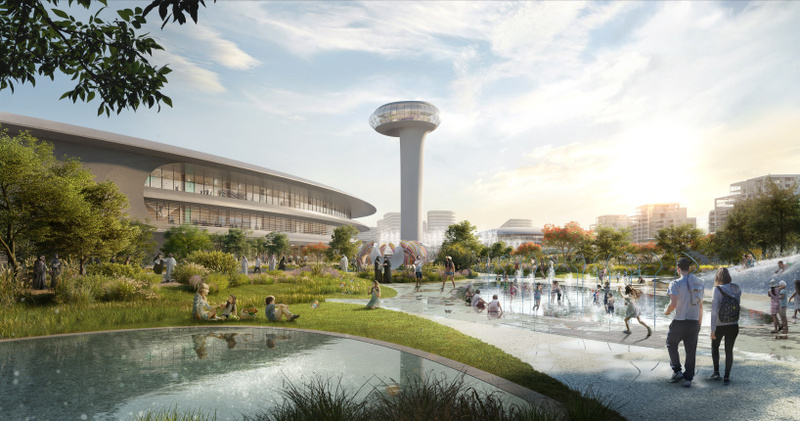 Fentress said its design for the US Pavilion will create a “powerful metaphor for the dynamism of American culture and values of ingenuity, progress, and innovation”. “Working across the US has given Fentress Architects diverse perspective on the attributes and attitudes that Americans share. We will coalesce these characteristics into a single architectural expression at Expo 2020 Dubai, representing the entirety of the US and its design prowess to an international audience,” said Curtis Fentress, principal in charge of design at Fentress Architects. Working with Colorado-based communications firm Human Design and the consortium’s numerous communications partners throughout the US and UAE, Pavilion USA 2020 will begin an international outreach campaign. The US Department of State is responsible for US participation in international exhibitions sanctioned by the Bureau of International Expositions (BIE). Expo 2020 Dubai is expected to draw over 25 million visitors from October 20, 2020 to April 10, 2021. Affordable housing projects and mid-segment offerings within luxury developments can inject fresh confidence into a sluggish property market, experts said on the final day of the Cityscape Global exhibition in Dubai. Interest from investors in China, Saudi Arabia and local buyers in Abu Dhabi have kept the mid and lower segment stable, developers said on Thursday. The projects displayed during the three-day event ranged from luxury communities and hotel developments to low cost projects with easy payment options to cater to a variety of buyers and renters across the country. “Definitely affordability is the topic of the market. It is something indispensable being taken into consideration more than ever and I think it’s a big driver for the market at the moment,” Mohammed BinGhatti, chief executive and head of architecture at Binghatti Holding told The National. “It’s a matter of what can you give people that makes them feel they are walking out with something valuable. Something that is stylish that they are not shy to say they own and it is affordable. It is hoped the “more affordable” housing will reinvigorate the market. A recent report from Asteco showed villa and flat rents dropped by 2-3 per cent in Dubai and sales prices by 4 per cent reflecting a fall in residential prices year-on-year in the third quarter of 2018. Residential sales and rentals also dropped in Abu Dhabi, the report said. Chinese investors will be a key market with a section of Binghatti’s expansive booth dedicated to China with marketing information available in Chinese. “We have seen a lot of interest from China, they are definitely a group of people entering the market. We have also seen interest from Saudi and local interest from Abu Dhabi,” Mr BinGhatti said. Upcoming projects from the company include Binghatti Stars in Silicon Oasis, which will be delivered at the end of the year, and Millennium Binghatti Residences, which have a view of the Dubai Canal will be delivered towards the end of next year. The Silicon Oasis developments include studios that start from Dh450,000 to Dh650,000 for one bedrooms through to Dh1.1 million for large two bedrooms. For sales onsite, customers are being offered a reduced booking fee, free interior design, zero commission and onsite bank mortgage approval. The projects also allow buyers to live in an existing an Binghatti development rent free until the handover is complete. “We cater for the mid-market segment where there are a lot of individuals who earn salaries between Dh10,000 to Dh30,000 and are looking for alternatives that are more affordable than areas like Downtown Dubai,” he said. Investors from China have also picked up mid-segment units that are part of J One, a luxury twin residential towers in the Burj Khalifa district, said Mohammed Miqdadi, general manager, of the Durar Group. The development, with 257 flats, is due for delivery at the end of next year. “This is a luxury project but we kept Tower A with studios, one and two-bedroom for investment. We are seeing a lot of Chinese investors for this. In the past four months, 30 per cent of our stock of Tower A apartments were sold to Chinese purchasers,” he said. Out of the 300 companies at Cityscape Global, five local developers have exhibited projects worth a total Dh38.7 billion ($10.5 billion) making up a large portion of the total value of projects onsite. With the value of many of the announced projects expected to come to light in the coming days, the running tally is projected to grow substantially, said the organisers. Running until tomorrow (October 4), Cityscape Global has seen developers competing for the attention of first time buyers, seasoned real estate owners and major investors with offers of attractive payment plans, fee waivers and additional bonuses on new and existing projects, they stated. * Nakheel with Dh713-million Dragon Towers, a twin building high-rise apartment complex that offers one and two-bedroom units starting at Dh449,000. With a total development value of Dh713 million, the project will be built at Dubai’s rapidly-expanding Dragon City mixed-use community. * Aldar Properties with Dh10-billion Alghadeer project, featuring more than 14,000 units, located on the border of Abu Dhabi and Dubai. The Abu Dhabi developer is offering Cityscape Global visitors who buy homes at Alghadeer a a per cent registration fee waiver and a three-year holiday on service charges, as well as a monthly payment plan enabling customers to buy their home from as little as Dh2,700 per month. * Sharjah developer Arada with its Dh24-billion Aljada development. Announced on the opening day of Cityscape Global, the Central Hub, designed by Zaha Hadid Architects, is the focal point of Arada’s lifestyle destination. The developer is also offering visitors the chance to purchase one of 109 semi-detached villas and townhouses in its nature-themed Sarab Community onsite at the Dubai World Trade Centre. Arada is one of many Sharjah developers joining the freehold movement in the emirate, allowing foreigners to invest their money in the real estate industry, following a change in the law in 2014. * Binghatti Developers with its Dh1.5 billion portfolio projects, which include the recently announced Millennium Binghatti Residences (Dh400 million) and Binghatti Stars (Dh250 million). For sales onsite, it is offering a reduced one per cent booking fee, free interior design, zero per cent commission and an onsite mortgage approval from Mashreq Bank. Additionally, it also has an exclusive deal that allows buyers to live in a unit in an existing Binghatti project rent free until handover has been completed. * Union Properties with its Dh2.5-billion Avenue District. Part of Dubai Motor City’s Phase Two development plans, Avenue District is a mixed-use lifestyle destination announced on the opening day of Cityscape Global. Valued at Dh2.5 billion, Avenue District will offer over 300 residential units as well as a state-of-the-art 100,000sqft BMW and Mini showroom. Other major developments and projects launched on the opening day of the show include Marsa Meydan by the Meydan Group, a Newport Beach-style residential and lifestyle community in Jebel Ali featuring a climate-controlled marina and waterfront villas with private pontoons, a first in Dubai. Meraas’ Port de la Mer was also announced during the first day of the event and is set to be a beach front masterdeveloped project in the heart of Jumeirah. zaha hadid architects (ZHA) has finalized its plans for a major leisure and entertainment development in sharjah, aunited arab emirates city on the arabian gulf. the first phase of the project’s ‘central hub’, which was announced earlier this year, will complete in the first quarter of 2019. according to the architects, the design of the scheme conceptualizes a water droplet striking the earth’s surface — a moment captured in an array of elliptical buildings that are configured to channel cooling winds. ZHA’s design serves as the focal point of ‘aljada’, a $6.5 billion USD development backed by arada, a UAE-based developer. articulated around its large central plaza and public observation tower, the car-free ‘central hub’ will be more than 25 football fields in size (1.9 million square feet). the scheme includes 732,000 square feet of public squares and gardens, which have been designed to be occupied throughout the year — even in summer. the complex’s natural ecosystem, irrigated by recovered and recycled water, is designed to sustain a microclimate at ground level for gardens featuring plant species native to the region, while the central hub’s lighting requirements will be entirely met by smart solar power. work on the project’s first phase — which will include an outdoor cinema space, a food truck village, and skate park — has already begun and is scheduled to wrap up in early 2019, ahead of the central hub’s total completion in 2022. Dubai has made steady construction progress in 2018, and site activity is on track to peak in 2019 for the UAE megaproject. Progress has also been noted on Expo 2020 Dubai’s country pavilions, where each nation participating in the world expo will showcase its achievements and ambitions. Ahead of Q4 2018, Construction Week rounds up the development that has been noted on Expo 2020 Dubai’s various country pavilions. More than 180 nations are expected to participate in Expo 2020 Dubai, which will open its doors on 20 October, 2020. Participating nations that have revealed pavilion designs for Expo 2020 Dubai include Austria, the Czech Republic, Germany, Luxembourg, New Zealand, Switzerland, and the UK. This month, Archdaily reported that Querkraft, a Vienna-based architecture firm, would design Austria’s pavilion for Expo 2020 Dubai. According to the report, Querkraft’s design for the Austrian facility would present the country as “a centre of innovation”, and focus on questions about “how resources can be used more thoughtfully and respectfully in the future”. Nature is also central to the Czech Republic’s Expo 2020 Dubai pavilion, which will focus on the ‘Czech Spring’ concept. 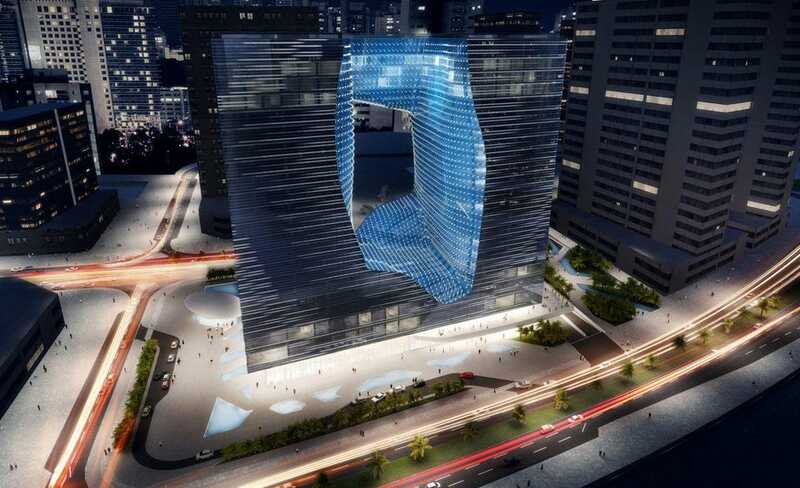 According to a statement dated 26 June on Expo 2020 Dubai’s website, the “striking building” comprises “fluid lines that flow around rectangular exhibition spaces”. Doctoral students from Czech Technical University in Prague’s Faculty of Architecture worked with design practice Formosa on the project, which will be located in Expo 2020’s Sustainability Themed District. “Central to the Czech Republic’s involvement in Expo 2020 will be a demonstration of its innovative Solar Air Water Earth Resource system, which uses solar energy to collect water from air, using a photobioreactor and compost tea,” Expo 2020 Dubai’s statement continues. “Scientists have successfully used this water to produce an algae that helps grass, herbs and crops grow in desert sand. The Czech scientists aim to use the technology to grow olive and palm trees in the UAE’s desert during the Expo. Given the agricultural challenges in the UAE and the region, this could be a real benefit beyond 2020. “The pavilion will also feature a Czech restaurant, a massive installation of designer glass, and a rotating exhibition to help attract repeat visitors,” Expo 2020 Dubai’s release adds. The country pavilions of Luxembourg and New Zealand will also be centred on nature and the environment. Luxembourg, which has pledged to invest $29m (AED108m) in the expo, signed a contract marking its official event participation in October 2017. 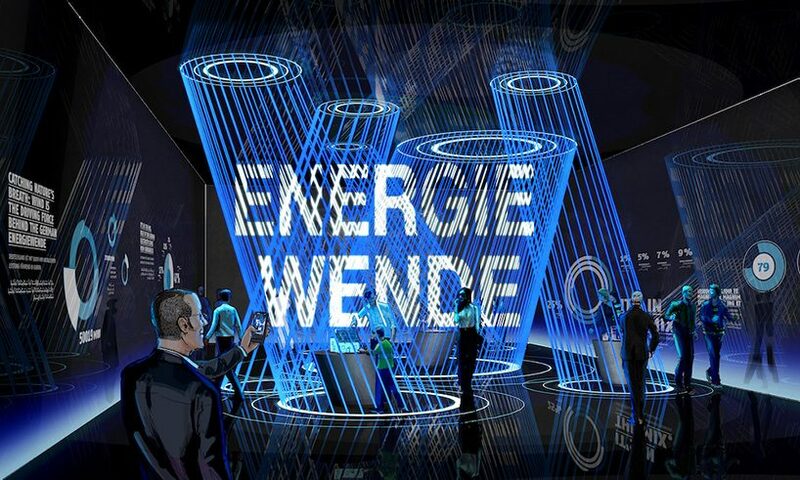 The theme of its pavilion is ‘Resourceful Luxembourg’, which reflects the country’s status as a smart nation that looks to other nations to connect the human, natural, technical, industrial, and financial resources it needs to shape its future. The spiral-shaped Luxembourg Pavilion – on which ground broke this April – will be located in the Opportunity District of Expo 2020, and include an exhibition space, a multi-purpose area, a restaurant, a shop, administrative offices, and technical facilities. “Particular emphasis was placed on the criteria of the circular economy and how architecture can work in perfect symbiosis with the exhibition,” Luxembourg at Expo 2020 Dubai says on its website. “The call for projects procedure was launched on 17 January, 2017 and was closed on 7 April, 2017 following the announcement that a consortium of architects and scenographers had been selected,” the website continues, adding that architecture studio Metaform was ultimately named to implement the project. Meanwhile, on 10 May, designs of New Zealand’s waka taonga-inspired pavilion were revealed as well. Expo 2020 Dubai said the pavilion “brings to life a Māori tradition of protecting valuable items in intricate containers”, adding: “Visitors to the 2,000m2 pavilion are sure to be awed by the complex design that goes beyond the expected exhibition space to also include a restaurant, design store, and hosting facilities. “New Zealand will promote its core values of ingenuity, integrity and kaitiakitanga – the Māori term for guardianship, which describes the deep kinship between humans and nature. 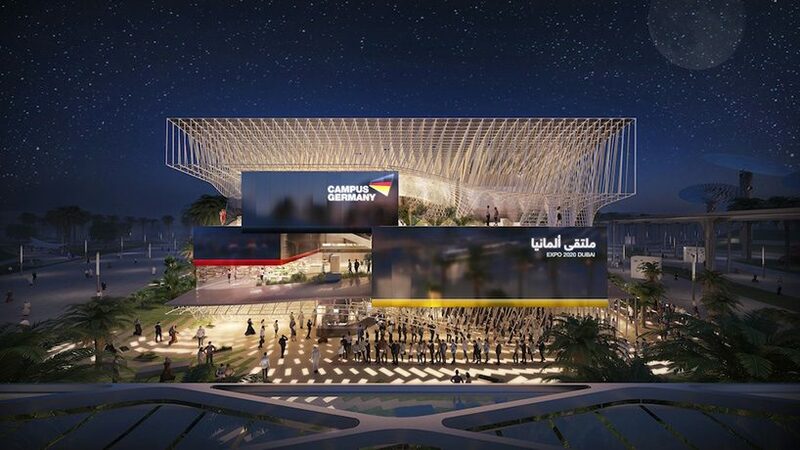 Consequently, the pavilion will be located within the Sustainability Themed District, reflecting the country’s focus on protecting the planet and its commitment to renewable energy,” Expo 2020 Dubai added. Science and technology is another feature that is common to some country pavilions planned for Expo 2020 Dubai. For instance, Germany’s scientific and technological achievements will be showcased at its 4,500m² high-tech pavilion, which is set to be among the largest at Expo 2020 Dubai. Created by Cologne-based Facts and Fiction and Berlin architectural firm Lava, Campus Germany, as the pavilion is referred to, has been designed with separate modules that meet together in the middle of an atrium. Its highlight is an intelligence assistance system called Iamu, which will be showcased for the first time in the world. Iamu will be an “invisible companion to visitors” guiding them through the multi-storey Campus Germany pavilion, which has three labs covering energy, smart cities, and biodiversity, Expo 2020 Dubai said in a statement earlier this month. 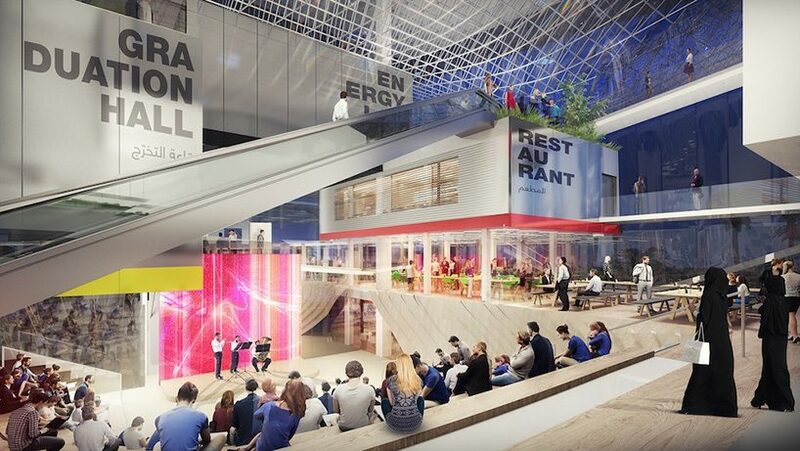 Switzerland’s $15.2m pavilion, named Belles Vues, is among the future-focused country pavilions planned for Expo 2020 Dubai. The project, half of which will be funded by third parties, has been designed by designed by Zurich-based architects OOS in collaboration with Bellprat Partner and Lorenz Eugster. Tenders for its general contractor and restaurant operator were due to be launched in summer 2018. In a statement published on 4 December, 2017, House of Switzerland – presented by the Swiss Federal Department of Foreign Affairs – said that the country is “making a bold architectural statement” with Belles Vues. The Swiss Pavilion will reference the temporary structures of Bedouin tents, and imbibe sustainable construction practices through scaffolding elements and textiles. “The concept invites visitors to wander: as they pass through the pavilion, they learn more about Switzerland and its responses to the challenges of tomorrow,” the statement continued. Technology – including space travel – is a key focus of the latest pavilion design revealed for Expo 2020 Dubai: the UK Pavilion, to be designed by British artist Es Devlin OBE, draws inspiration from the work of late astrophysicist and cosmologist, Stephen Hawking. 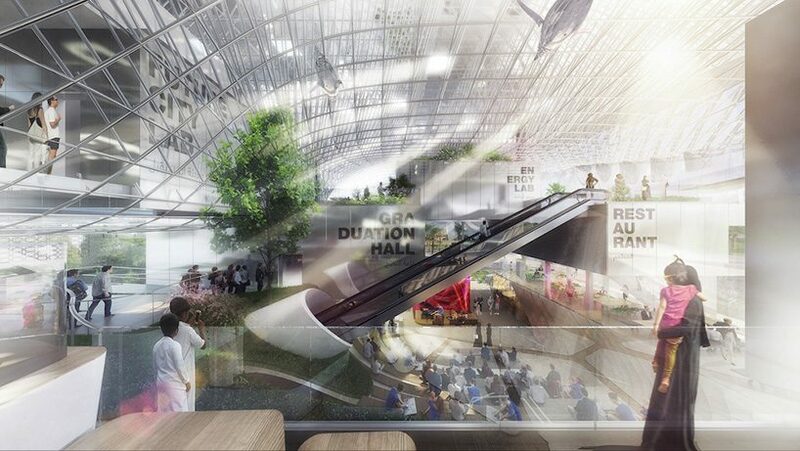 London- and Dubai-based agency, Avantgarde, will produce the pavilion. Devlin and Avantgarde will work with structural engineering firm, Atelier One, and sustainability firm, Atelier Ten, on the project. She added that the UK Pavilion at Expo 2020 Dubai could likely become a hub for global visitors to participate “in a collective global project that showcases British expertise in AI technologies and poetry while transcending national identities”. While the Netherlands and the US are yet to reveal their pavilion designs, both countries have been actively working on the projects. Netherlands Enterprise Agency was commissioned by the country’s Ministry of Foreign Affairs to oversee the pavilion’s design, build, maintenance, and dismantling work, it was revealed this June. Meanwhile, Big Things Group has been named to work on US Pavilion at Expo 2020 Dubai under a public-private partnership (PPP) model. Big Things Group will help to facilitate the fundraising, project management, design, construction, operation, disassembly and removal of the USA Pavilion at Expo 2020 Dubai, the US Department of State said in the same month. In a statement to Construction Week, Expo 2020 Dubai explained that the design and construction schedule for each self-built national pavilion “is determined by the participating country” developing the project. As such, it remains to be seen how the remaining Expo 2020 Dubai country pavilions shape up. However, it wouldn’t be unfair to assume that all of Expo 2020 Dubai’s country pavilions – much like the Middle East, Africa, and South Asia’s first world expo – will highlight the technology prowess and environmental awareness needed for tomorrow’s cities. 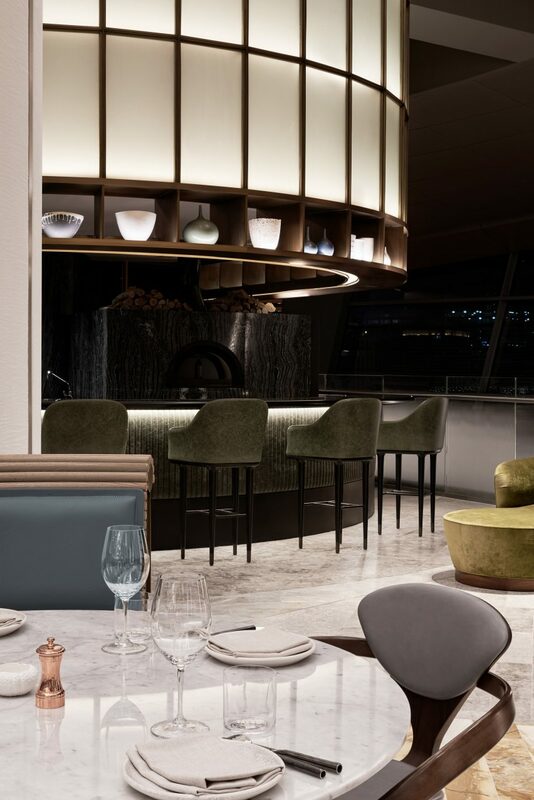 A carpet designed to look like the ocean and an octopus-inspired artwork feature inside Sean Connolly at Dubai Opera, a restaurant atop Dubai‘s opera house, designed by Sydney studios Alexander & Co and Tribe Studio. His involvement provided the inspiration behind the restaurant’s oceanic design, which Alexander & Co describes as an “underwater modernist salon”. 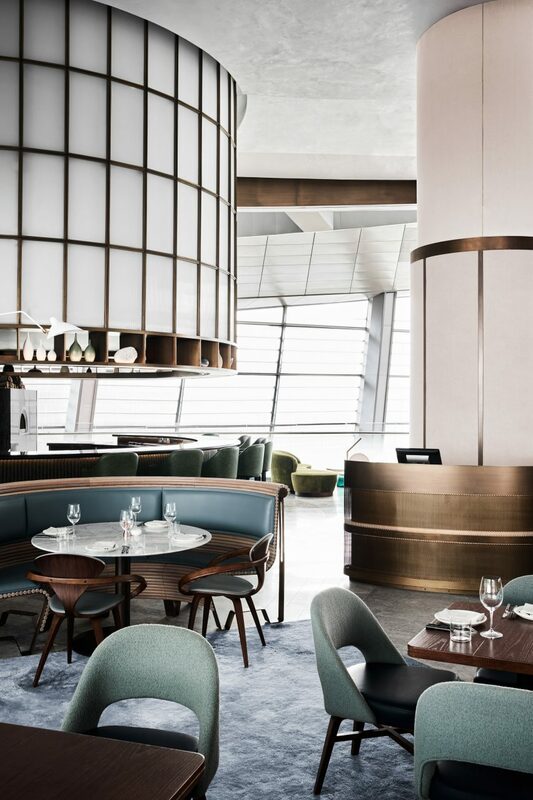 “The bistro explores the colours and tones of the sea, oyster, sea cliff and coastal escarpment,” explained the Sydney-based design interiors studio, which completed the project in partnership with architecture office Tribe Studio. Although largely open-plan, the venue is carved up into various different areas defined by changes in materials and finishes. Spaces include the Raw and Fire bars, a brasserie, a main bar, a private dining room, a chef’s table and an external bar. The team were influenced by various 20th century buildings with swopping curved lines, such as the wing-shaped concrete roof of New York’s TWA Terminal at JFK airport by Eero Saarinen, and the shell geometries of the Sydney Opera House. 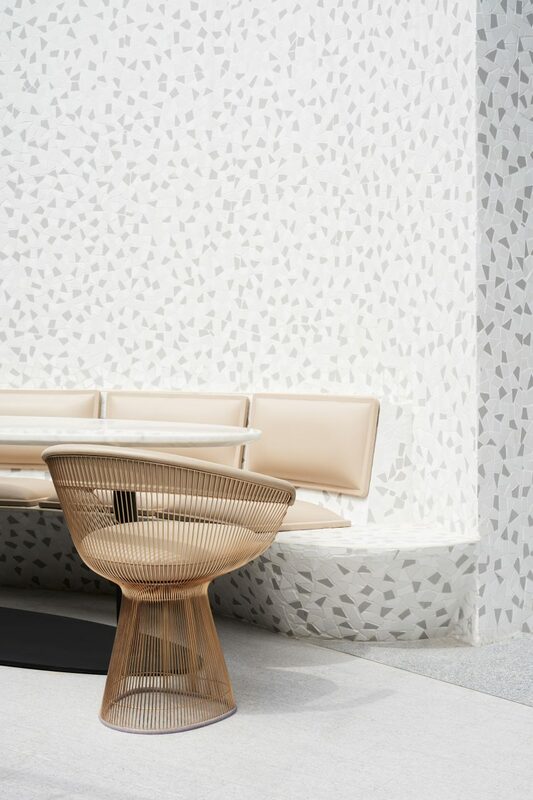 “Each design element within the venue explores ideas of the sea, from the oyster with its combination of smooth sensual surfaces and textured outer surfaces, to the oceanic tones and colours of corals and pearlescent hues,” they explained. 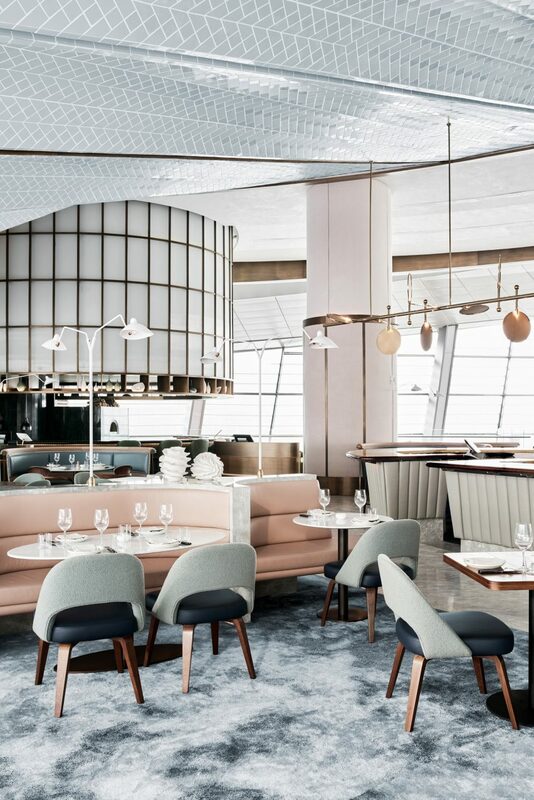 For example, the designers used a combination of matt and gloss tiles on the restaurant’s vaulted ceiling to evoke the sheen of oyster shells, while the grey marble banquettes with pink leather upholstery in the central Pearl Bar are inspired by the delicate contrasts of ocean corals and sea creatures. 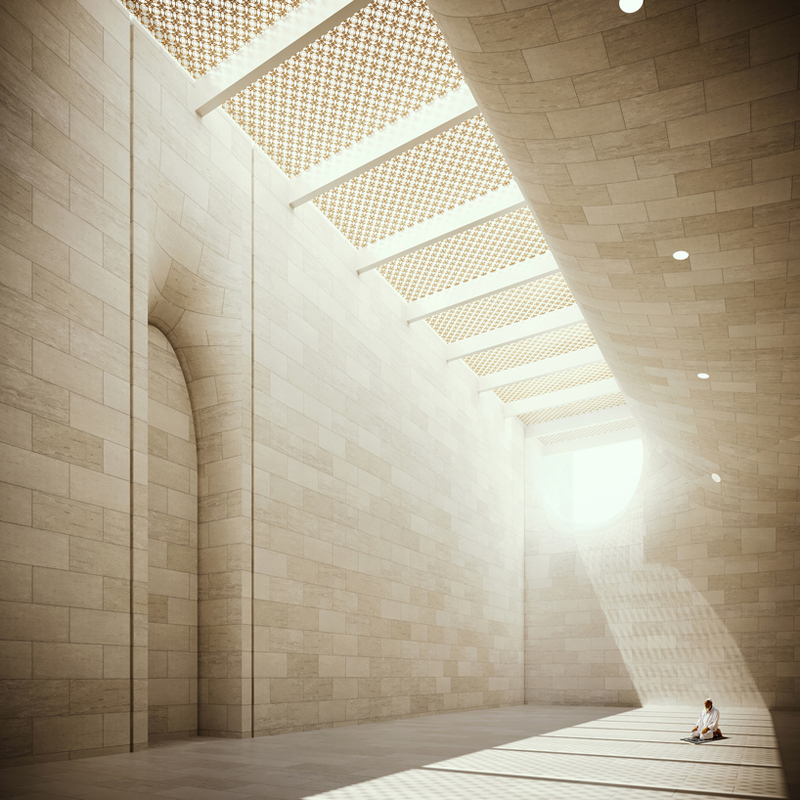 “Central to our innovation at Sean Connolly at Dubai opera was an ambition to arrange inexpensive materials in a way that would give them architectural value and a historical reverence,” concluded the team. Tribe Studio’s other recent projects include a house extension featuring a “brick sunburst”. LONDON: Picture the scene: A pristine white beach, crystal-clear waters with a yacht or two bobbing in the middle distance. The days are filled with exploring a rich landscape filled with natural and archaeological wonders or relaxing in complete tranquility, the evenings spent savoring the finest foods and artistic entertainment, and all set against a backdrop of spectacular scenery. Where is this paradise on earth? South Africa, perhaps? Or somewhere in the South Seas? Wrong and wrong. It is in fact somewhere far closer to home. Amaala is the name of what is promised to be the ultimate ultra-luxe tourism destination. 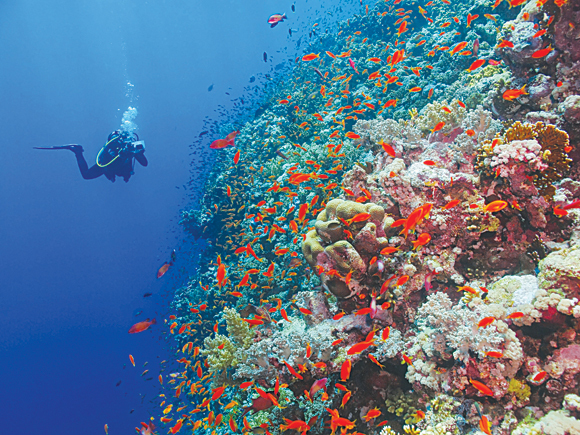 It is on the Red Sea coast of Saudi Arabia and, if all goes to plan, in just two years’ time it will begin welcoming guests from all over the world. Unveiled this week, Amaala is the latest project aimed at creating a fully-fledged tourism industry in Saudi Arabia. Funded initially by the Public Investment Fund (PIF) of Saudi Arabia, it is certainly ambitious, promising to cater to all tastes and desires with bespoke holidays. Adventure, culture, history, sports, relaxation, shopping — Amaala will have them all, with a special focus on “wellness, healthy living and meditation,” as well as its own dedicated airport for “seamless” transfers. More specifically, that means “extraordinary architecture” in both the hotels on site offering 2,500 rooms and the private villas and apartments that will be available for purchase. Galleries, atelier workshops and an art academy will showcase the work of young artists and artisans from Saudi Arabia and the wider Gulf region. There will be a marina for year-round mooring for yachts and other vessels offering “boutique luxury cruises” and diving trips to coral reefs which, unlike many others in the world, are still undamaged. And for those who simply want to recharge, there will be a wellness retreat with full medical facilities. Amaala will also host cultural events and conferences. The top priority throughout will be care for the natural environment. Amaala is part of Vision 2030, the program of reforms steered by Crown Prince Mohammed bin Salman and the development will be sited within the nature reserve that bears his name. The target for all this largesse is “the world’s top” 2.5 million leisure travelers. But will they come? Absolutely, said former hotelier Gaurav Sinha, founder of the Dubai-based Insignia, a company that advises some of the world’s top brands on marketing. As well as the wonders of nature and superlative standards of service, Amaala offers something far more appealing: The thrill of discovery and the cachet of being among the first to experience a place that is little-known and even less understood. archaeological site on the doorstep in Al-Ula, lovely weather, protected nature — this is the new Shangri La. April Hutchinson, luxury specialist at Travel Trade Gazette, said that tourists in search of the unusual would be drawn to Saudi Arabia. While initial funding for Amaala will come from the PIF, there will be opportunities for private investment later and much will depend on which companies are brought in, said Sinha. “The sort of traveler who will come will be well-off but they are not bothered about being pampered. They expect very good service but what they’re after is an authentic experience,” he said. With that in mind, how far will Saudi Arabia have to go in reconciling its own codes of behavior with the more laissez-faire attitudes of the West? “Do you expect visitors to change their behavior or do you create a city within a city, ring-fenced within a wall with its own laws and its own little culture to keep visitors apart from the rest of the country? And if you do that, it is hardly giving them the authentic experience,” Podaras said. He predicts “a significant change” in legislation will be necessary. However, it would be wrong to assume all potential tourists are coming from Europe or the US. “Millions of people come to Saudi Arabia every year from Indonesia and other Muslim countries for Hajj. They would love to explore more of the country after the pilgrimage,” said Sinha. Podaras said that the success of online operators such as halalbooking.com shows that Muslims living in the West are a growing sector of the market. “They might be second or third generation migrants to Western Europe and they want things that make them feel more comfortable, like women-only beaches and alcohol-free hotels,” he said. ways through travel so I think they are more used to us,” she said. events in the Kingdom will automatically get an electronic visa with their ticket. But whether that will extend to holiday bookings is not clear. What is clear, however, is that the tourists — and especially those of the caliber that will be drawn to Amaala — are keen on sustainability. DUBAI: Saudi Arabia’s Public Investment Fund (PIF) announced on Wednesday plans to turn a section of its northwestern coast into a magnet for international tourists, part of a broader push to diversify the economy away from oil. “The new destination is a natural extension of the Mediterranean Sea, and dubbed the Riviera of the Middle East,” said the Saudi sovereign wealth fund in an emailed statement, detailing the tourism project called Amaala. Amaala, alongside the previously announced NEOM, a 26,500 square kilometre (10,230 square mile) business zone under development in the northwest of the kingdom, is part of the giga-projects investment portfolio of PIF, the statement said. Amaala will feature hotels, private villas, retail and an academy of the arts, marinas and a yacht club, it said. The statement named Nicholas Naples as chief executive officer of the new development for which initial funding will be provided by PIF. “Amaala represents a unique and transformational luxury experience,” Naples said in the statement, adding that it would include cultural, artistic, fashion and sports facilities “individually tailored for the ultra-luxury lifestyle”. Projects like NEOM and Amaala are part of the kingdom’s Vision 2030, an effort to diversify the economy and wean the world’s top crude exporter off oil revenues. SSH, a leading masterplanning, infrastructure, building design and construction supervision firm in the region, said it has been signed up by leading UAE developer Emaar to carry out full architecture services on its prestigious Grande Tower coming up at Dubai’s Opera District. The luxury residential tower will be located in the radiant centre of culture and arts in Emaar’s flagship development – Downtown Dubai, neighbouring the Dubai Opera and standing opposite Burj Park and lake, said a statement from SSH. The project comprises a promenade level below a 78-storey tower accommodating retail, amenities and 866 spacious luxury apartments, including a mix of one-, two-, three- and four-bedroom units with large penthouses situated below the crown, it added. The design’s curved footprint embraces the fountain lake and mimics the organic sweeping lines of the existing landscape. A balanced rhythm of undulating piers and slim vertical fins accentuates the elegance and verticality of the tower up to its delicate crown. Byron said the tower will be a significant addition to the Downtown Dubai skyline and will become a contributing and symbolic landmark in the development of the Opera District. “While residents will be gifted panoramic views of the Arabian Gulf and surrounding landscape, the podium of the tower makes the most of its proximity to the Dubai Fountain and Burj Khalifa. Pedestrians strolling along the Fountain Lake will have direct access to retail units that will line the podium’s base at promenade level,” he noted. “The podium’s upper level is to include a swimming pool and expansive deck orientated, along with the tower itself, to benefit from spectacular Dubai Fountain views.” explained Byron. Meraas has revealed details of the first residential neighbourhood to be launched at La Mer. Port de La Mer will include freehold apartments as well as a 192-berth superyacht marina located at the tip of the North Peninsula. There will a collection of boutiques and restaurants, set in bustling piazzas as well as some four- and five-star hotels and a private beach. La Mer is a beachfront destination with a mix of shopping, dining, leisure, entertainment, hospitality and residential options. Work is already underway on the first properties at Port de La Mer in an area called La Côte, comprising around 400 apartments and a two-storey penthouse in a collection of five low-rise buildings. The residences will combine modern architecture and interior design with a range of world-class amenities, including several large swimming pools, gyms, a private beach and a marina. Azizi Developments has launched its third premium residential project in Dubai Healthcare City (DHCC). Fawad Azizi Residence is a AED 342mn ($93mn) project with 396 apartments spread over a total construction area of 565,503 sq. ft. The project will feature a contemporary design with a glass facade, as well as landscaped gardens, gymnasium, swimming pool, retail areas and covered parking. The other two projects by Azizi Developments in DHCC include Azizi Aliyah Residences and Farhad Azizi Residence. Union Coop has signed an agreement with Dubai Silicon Oasis Authority (DSOA) to build a commercial centre. The project will be built in Dubai Silicon Oasis at a cost of $25.7 million and will host a 5,620sqm Union Coop hypermarket on its first floor. The commercial centre will also feature a basement designated for car parking, and a ground floor that will accommodate shops and 250 parking spaces. Dr Juma Al Matrooshi, deputy CEO for operations and client affairs at DSOA signed the contract with Khalid Humaid bin Diban Al Falasi, CEO of Union Coop, in the presence of Madiya Al Marri, director of the properties and projects division, and Mohammed Al Marri, director of the business development section at the properties and projects division at Union Coop. “In line with its efforts to develop an integrated community, the DSOA is keen on attracting investment opportunities that contribute to the diversification of services available to its residents. The new Union Coop commercial centre will be a quality addition to the retail offering at the DSO,” said Dr Al Matrooshi. Al Falasi added that Union Coop is keen on investment opportunities, which allows it to supply the community with a wide range of products at competitive prices, while maximising shareholder returns in the long run. “We have signed a renewable 30-year investment contract to open a 13,154sqm commercial centre that will meet the needs of the residents of the DSO and the neighbouring areas. We have purchased land from the DSOA at a total cost of $1.37m within the framework of our community contributions,” Al Falasi explained. Dubai Creek Harbour has unveiled Creek Marina, a city-harbour getaway in the heart of Creek Island Dubai, the residential and leisure district of the six sq km mega-development. The waterfront destination will be home to residences, sweeping landscaped parkland, gourmet restaurants, cafes and entertainment venues, a statement said. It added that Creek Marina is set to open in December, as preparations are ongoing to welcome the first residents in Dubai Creek Harbour in early 2019. Creek Marina will also be home to the Vida Harbour Point, a 286-room upscale lifestyle hotel similar to harbour hotels in cities such as Singapore and Shanghai, and is scheduled to open in 2019. With its oyster design, a throwback to the city’s rich pearling history, Creek Marina will have a capacity of over 81 single- and double-berths and will feature a dedicated world-class yacht club with an array of shopping and dining outlets. Facilities such as fuelling services, upgraded power outlets and pedestal units will ensure smooth sailing for all throughout the year, the statement said. Creek Marina will also offer a selection of high-end retail, dining and leisure venues with a promenade featuring trendy cafes, restaurants, fashion outlets and street-food vendors. An interactive fountain and world-class art installations as well as over 1,500 parking spaces will also be included. Dubai’s Heart of Europe project reveals Swedish beach palaces. Kleindienst Group, developer of The Heart of Europe, a cluster of six islands on Dubai’s The World, on Monday unveiled the first Sweden Beach Palace at Sweden Island. A tour was led by Josef Kleindienst, chairman of Kleindienst Group, who showcased the ultra-luxury property as part of the project to pioneer the freehold second home market in the UAE. The Sweden Beach Palaces will consist of nine luxurious palaces, plus one super-sized version, set on Sweden Island. Each property will have its own private section of beach and a fully-owned piece of the marine area plot, including a private coral reef. The properties have been designed as second homes – Dubai’s first purpose-built luxury area for UAE residents to own a holiday property in their own country, instead of jetting to the Maldives, Mauritius or the Seychelles, the developer said in a statement. Kleindienst said: “Catering to residents and visitors who are looking for a dynamic, cultural experience, our developments at The Heart of Europe will boost tourism in the UAE. It will also offer investors the opportunity to choose from a range of high quality holiday properties that will be part of a vibrant touristic destination that includes hotels, restaurants and world-class attractions. The first Sweden Beach Palace features seven bedrooms, each with its own en-suite bathroom. Five of the palaces will be fitted out with Bentley Home interiors, while the remaining properties will be bespoke to the individual owners. Each property will incorporate a full gym and fitness centre plus a temperature-controlled sauna, massage and spa room. There will also be an entire floor dedicated for guests while stretching out from the terrace will be an infinity pool, with separate plunge pool and outdoor jacuzzi. Kleindienst said the pièce de résistance is a 570 sq m roof floor, with 360-degree views of The Heart of Europe and coast of Dubai. The roof itself has been designed to mimic the upturned hull of a Viking boat, harking back to the roots of Sweden and its heritage. Damac Properties has awarded an AED512 million ($139 million) construction contract to China State Construction Engineering Corporation (CSCEC) to build tower C of Aykon City, Damac’s luxury mixed-use development on Sheikh Zayed Road, Dubai. The new contract covers civil construction works for tower C, the residential tower in the $2 billion development, which overlooks the Dubai Water Canal. “CSCEC shares our commitment to quality, safety and timely delivery. After a thorough tendering process, we have chosen to expand CSCEC’s remit in the Aykon City project beyond AED1.1 billion, having awarded them the contract to build tower B earlier this year,” said Ali Sajwani, general manager of operations at Damac. Tower C, known as The Residence, will have a total built up area of nearly 1.8 million square feet. It will feature studio, one, two and three-bedroom apartments and will also boast The Club, an exclusive residents-only lifestyle and entertainment space. The 62-floor tower is made up of two basement, a ground and ten podium levels, in addition to a dedicated lifestyle and entertainment level, 48 residential floors and a rooftop. Aykon City includes premium residential, hospitality and commercial units and will have access to the 3.2km long waterway of the Dubai Water Canal, which runs all the way to the Arabian Gulf, from the Creek in Old Dubai. China State Construction Engineering Corporation Middle East to work on Emaar’s Downtown View II project. China State Construction Engineering Corporation Middle East (CSCEC ME) has been awarded a $351.2 million contract by Emaar Development. The Chinese state-owned contractor has “obtained a letter of award” to work on Emaar’s Downtown View II project in Dubai, Construction Week Online reported on Thursday. Its scope under the contract includes the construction of three high-rise residential towers with 1,509 units, a partial basement level, four floors of podium parking, a ground-floor retail unit and mechanical, electrical, and plumbing rooms, it reported. Tower 1 will be 258 metres high and have 67 floors above ground while Tower 2 will have 62 floors and Tower 3 will have 55 floors. Piling and excavation work was completed during the second quarter of the year. Construction of the development is scheduled to complete by the end of 2020, according to Emaar’s website. Construction Week said it has reached out to both CSCEC ME and representatives from Emaar for comment on the contract award. Emaar’s Downtown View II, which overlooks the Burj Khalifa and the Dubai Fountain, is a three-tower development featuring apartments that feature up to four bedrooms. Last week, Dubai developer Damac awarded the Chinese contractor a $139 million construction contract for the six-tower Aykon City project that is also under way in Downtown Dubai. The company will build Tower C, one of the residential tower contained within Damac’s $2 billion mixed-use development, situated off Sheikh Zayed Road. DMCC, the Dubai free zone for trade and enterprise, has announced that construction of its Uptown Dubai mega project is proceeding at pace with the completion of piling and raft works for the first super tall tower. A statement said the last few months have seen more than 150 piles installed for the tower with another 140 put in place to support the first phase of a podium, which features a two-level central plaza, including F&B outlets, retail spaces and entertainment zones. The raft foundation – comprising 2,500 tonnes of steel and over 12,000 cubic metres of concrete – was poured over a continuous 46-hour operation, the statement added. Earlier this year, DMCC appointed Rockwell Group, a New York based firm, as the interior designer for the supertall tower which will comprise luxury hotel rooms and suites, high-end restaurants, health spas, extensive conference facilities, grade A offices, and 237 branded residences. Uptown Dubai will be anchored by two super-tall towers designed by Adrian Smith & Gordon Gill from Chicago. 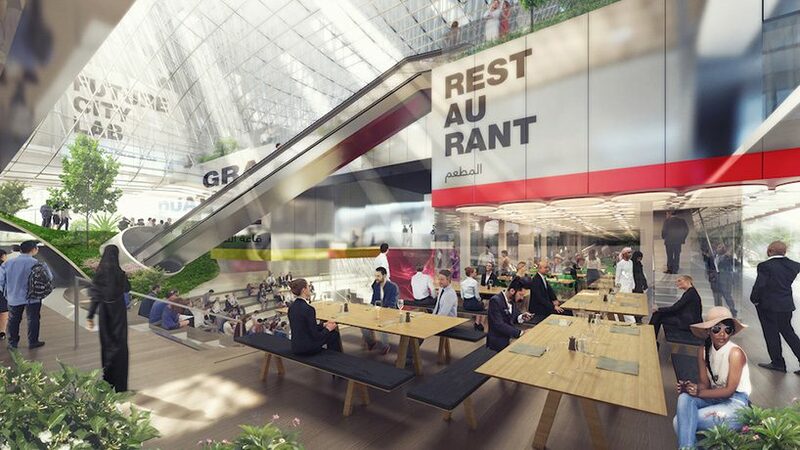 The district’s main podium, 28 metres above ground, features a two-level central plaza that will be larger than New York Times Square, circled by shops and connected to a retail mall below, all with direct access to the towers. Uptown Dubai is located close to DMCC’s Jumeirah Lakes Towers, a community of over 92,500 people, as well as major commercial projects in Dubai’s Southern belt such as Expo 2020 and Al Maktoum International Airport. He said in comment published by state news agency WAM that the results of the Dubai real estate market during the first eight months of 2018 are encouraging, adding that it continues to “attract additional investors who have invested heavily”. “Investors agree on a number of different interests and trends related to the Dubai real estate sector. The attractiveness of the market is based on a number of unique factors, especially the high guaranteed returns, the continuous rise in property values year after year, and the emirate’s ideal environment for living, working, and visiting, making it a high-level investment option,” he added. Majid Al Futtaim plans to grow its real estate division to rival its malls and hospitality divisions in terms of revenue and profit. Majid Al Futtaim Communities division has four major projects underway in Dubai, Muscat, Sharjah and Beirut, including the $3.8bn Tilal Al Ghaf mixed-use development in Dubai. In an exclusive interview, Esber said Majid al Futtaim is leveraging all the tools it has developed in retail and hospitality to meet the evolving demands of its real estate customers. “We want to bring this sector to a more human scale. In the shopping mall business there was a competition to get bigger and bigger. We want to go smaller and really understand what people want, rather than what developers want to do for them,” Esber said. Majid Al Futtaim Properties, which includes shopping malls, hotels and communities, reported a revenues of AED2.3bn in the first six months of 2018 (an increase of one percent), primarily driven by its shopping malls business. Revenue in its retail division still leads the way. It generated 15 percent revenue growth at AED14.6bn. Esber said MAF Communities aims to be different to other established large scale developers. “The region has been suffering from very big projects that require a cookie-cutter approach, and that’s why they all look the same,” he said. Tilal Al Ghaf, 100 percent owned by MAF Communities, is located at the intersection of Hessa Street and Sheikh Zayed Bin Hamdan Al Nahyan Street, near Dubai Sports City. The mixed-use 355,000 sq-m project will take over ten years to finish. The project will feature a series of interconnected green parks with 11km of cycling and walking trails and 18km pedestrian trail. The centrepiece is a 70,000 sq-m Crystal Lagoon that Esber says requires a quarter of the water that a golf course would need, and will have water so clean it could be drinkable, allowing it to be used for swimming and water sports. Of the 6,500 freehold homes at Tilal al Ghaf, prices will range from under AED1m for studio apartments, through to AED16m for the waterside villas – some of which have already been sold already. Infrastructure and land-forming work has been concluded, with a show village and “some community amenities” slated for completion this year. Majid Al Futtaim also has a ventures division – a diverse portfolio of cinemas, leisure and entertainment, fashion, consumer finance, food and beverage and facility and energy management. It revenes increased by 13 percent to AED1.1 billion – or AED 1.5 billion including joint ventures and associates. Growth in the hotels sector in the Middle East and Northern Africa (MENA) shows little sign of abating – or even taking a breath – according to a latest research revealed by Lodging Econometrics. Analysts at the global real estate consultancy found continued construction growth in the region has resulted in 875 projects or 216,045 rooms under way at the moment. The Middle East’s pipeline makes up the lion’s share of this figure with 594 projects or 170,490 rooms – the latter being a 23% year-on-year increase. Even more impressively, this figure represents the 16th consecutive quarter of pipeline growth seen in the Middle East. The two largest economies in the region, Saudi Arabia and the UAE, lead the way in the region’s hotel construction story. At least 80 hotels are expected to be built in the countries’ major cities, with more than 27,000 units set to open in Riyadh, Jeddah, Makkah, and Al Khobar this year alone, according to a report by Top Hotel Projects. This expansion is largely indicative of Saudi’s plans to boost its tourism numbers and, more generally part of a wider vision to diversify its economy away from petrodollars and onto a more long-term and sustainable growth path. Hilton is expected to be one of the busiest operators in Saudi, opening three hotels – one each in the Jabal Omar development, Riyadh, and Al Khobar. Hotel operator Rotana is set to open 14 hotels across MENA by end of 2018 and is looking to break into new markets such as Saudi Arabia, Iraq, and Tanzania in 2018, as part of an ongoing drive to deepen its presence across the region. Accor Hotels has also had a busy start to the year, signing nine hotels off the back of the 30 it signed in 2017, including seven takeover agreements, which added 8,700 rooms to the group’s regional portfolio. In terms of the luxury aspect of the market, new data has shown Dubai and UAE markets account for a combined 61% of the region’s current five-star pipeline. This month, Dubai-based Al Habtoor Group announced a franchise agreement with global hotel operator Hilton. Under the deal, three of its hotels in Dubai’s Al Habtoor City will be rebranded to align with Hilton’s various collections – a move that certainly cements the hotel operator’s position of strength within the emirate. June this year also saw Abu Dhabi’s Aldar Properties pick hotelier heavyweight Marriot International to manage a new Yas Island hotel that will become the emirate’s first W Hotels-branded destination. Contributing to its 11 unit-strong portfolio, the project marks Aldar’s 13th property in the UAE capital. Dubai’s Damac Properties also inked a new agreement in August with Radisson to open the Middle East’s first Radisson-branded luxury hotels in Dubailand’s Damac Hills. The market is certainly heating up, and McGrail believes the hospitality sector in the region is becoming more competitive, with hoteliers “constantly looking for something that will give them an advantage over their competitors: “It is essential that our designs and the advice we give to our clients help to future-proof their establishments and consider the future use of each facility. “This need for agile space and designs that consider future needs is coupled with a need for hotels to remain cost- efficient, and consequently use the latest technologies to manage building services effectively and optimise utility usage,” he tells Construction Week. he Dubai Institute of Design and Innovation has opened officially opened its doors for its inaugural academic year, based in Dubai Design District. The university is the first multi-disciplinary design university of its kind in the Middle East, hosting students both regionally and internationally. DIDI’s academic program has been developed in collaboration with the Massachusetts Institute of Technology (MIT) and Parsons. Read more about the university’s curriculum and strategic location here. With a total financial investment of AED 270 million, the institute is a direct response to the growing design needs of the regional market which are outlined in the MENA Design Education Outlook report released earlier this year by the Dubai Design and Fashion Council (DDFC). Currently the university is hosting students at a temporary space in d3, however its location will be re-established once the Foster + Partners-designed building is completed – part of Phase II of d3’s overall masterplan. DIDI has recently announced its founding faculty who will be conducting classes alongside dean and associate dean, Sass Brown and Hani Asfour. “Design has to become a part of concepts from the very beginning, as opposed to modifying them later to make them look nice. We’re training designers for jobs that don’t exist yet, for the new world,” said Brown, adding that students at DIDI will be learning to work across industries to cater to the future of design and the world as a whole. Dubai Land Department (DLD) revealed that the results of the Dubai real estate market during the first eight months of 2018 are encouraging, especially in light of the timely completion of projects. One of the signs of the real estate market’s attractiveness is its continued ability to attract additional investors who have invested heavily, contributing to sustainable growth. In DLD’s latest report covering the period from the beginning of 2018 to August 31, HE Sultan Butti bin Mejren, director general of DLD, said: “47 projects were introduced into the market after they were completed based on their set timelines. The completed projects added 14,000 different properties to the market: 10,000 apartments, 364 residential complexes, 2,258 townhouses, and 1,575 villas. During the reporting period, 1,000 investors received their properties through 900 transactions, with a total value of over AED12bn. These substantial figures demonstrate Dubai’s superiority, its distinctive position as a preferred international investment destination, and its ability to enter into a profitable competition with others through its unique features. Bin Mejren believes that Dubai can maintain this positive momentum which showcases its features, especially with the availability of promising investment opportunities, leading up to Expo 2020 and the years that follow. “Investors agree on a number of different interests and trends related to the Dubai real estate sector. The attractiveness of the market is based on a number of unique factors, especially the high guaranteed returns, the continuous rise in property values year after year, and the Emirate’s ideal environment for living, working, and visiting, making it a high-level investment option. 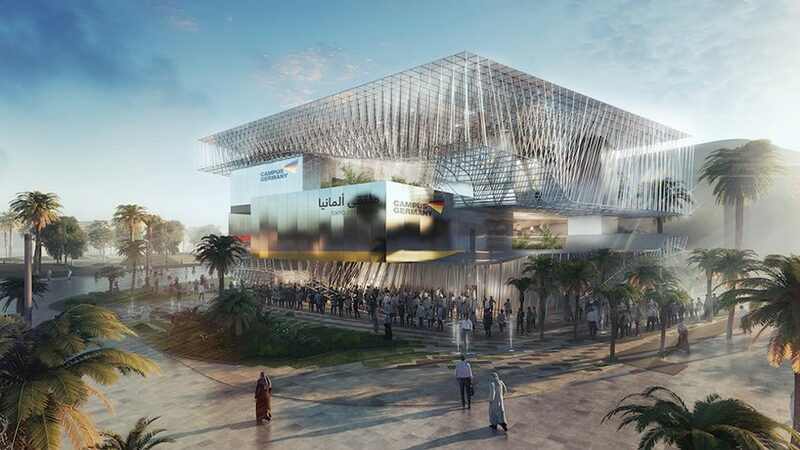 Graft has shared its project for the German Pavilion for the Expo 2020 in Dubai, which was open to a public tendering process. Although the project didn’t win – Berlin-based architecture practice LAVA will be designing the pavilion – it was one of shortlisted finalists. The pavilion is designed under the theme ‘Sustainability’, which is one out of three theme – also including Opportunity and Mobility. Designed using an orthogonal structure, it houses the idea of ‘knowledge’ at its centre where a network of exhibition junctions are housed. This allows for the pavilion to act as a decentralised, non-hierarchical network, allowing free movement for visitors. Through these ‘exhibition junctions’, the pavilion encapsulates “a symbiosis of German flagships, such as efficiency, technology, science and natural environment, and displays them in a coherent overall concept”. Using an interactive and participative concept, the architects have enabled the exhibition to be visible to visitors from every vantage point of the pavilion. The visitors themselves stream-walk through the subject areas and create a flow and exchange of information, which is visualised by the architecture and the transparency of the structure,” the architects explain. “One spacious, central room in the heart of the pavilion forms the emotional antithesis to the rational knowledge resource. In this variable space, which connects itself with the rational, factual knowledge resource through the element of the “interface”, the design creates its moment of tension,” they add. The pavilion can also be completely restructured and composed into a different configuration to allow for changing requirements of exhibition spaces. Due to their construction and combination principles, all components and materials of the pavilion can be easily dismantled and separated into individual material-groups to allow for optimal recycling. A 42nd-floor ‘skybridge’ in the dazzling Raffles City project could help solve overcrowding — or will it simply let the super-rich escape to the skies? An army of 6,000 construction workers is hard at work at a large site overlooking the conflux of the Yangtze and Jialing rivers in the south-western Chinese megacity of Chongqing. Eight skyscrapers are rising from the river banks: two above 350m and six above 250m. Raffles City Chongqing, a project headed by architect Moshe Safdie, will boast 134,000 square metres of homes, shops, offices, entertainment, transportation links and a public park. It also features a more unusual claim to fame: a “horizontal skyscraper” 300m in length, stretching across four of the main towers at the 42nd floor. With the building situated in an earthquake zone, it “floats” on top of the towers to create the necessary sway. No landmark development in China is complete without a world record, and Raffles City Chongqing has the highest skybridge linking the most towers. With an adjacent pair of towers connected by smaller skybridges, workers and residents can move around the eight-tower development without needing to return to ground level. Chongqing is certainly dense. Outside the building site, the streets are crowded with markets and wholesalers, hawkers and food stalls. Construction workers huddle over bowls of spicy noodles, vendors carry heaving baskets of fruit on their shoulders and shoppers barter over prices. Safdie says the development reflects a growing trend in urban planning: having developed vertically, skyscraper cities are starting to spread horizontally. There have been other seeds of experimentation. Minneapolis is home to the world’s most extensive skyway system — and in Asian cities such as Hong Kong and Bangkok skywalks are publicly run facilities, connecting buildings, stations and walkways. These often run only a few floors above the ground — but as towers become taller, skywalks are ascending with them. Beijing’s Linked Hybrid complex is a series of towers connected by a series of skybridges between the 12th and 18th floors. Singapore’s Pinnacle@Duxton is a large public housing project with seven 51-storey apartment blocks connected by skybridges and skyparks, and the Velo Tower in Seoul has two skyscrapers joined by a 30-storey-high skybridge. If sky-high connections between buildings are the future, then technology will hasten its arrival. Last year, the German engineering firm ThyssenKrupp unveiled its new horizontal-vertical elevator system. The Multi allows multiple lifts in one shaft, removes height limitations and allows for horizontal lifts to shuttle from one building to another. Buildings could reach higher, and reach across, creating an interconnected network that stretches across the city. But what are the social implications of a life lived in the air? Could this trend for linked skyscrapers accelerate segregation, creating a two-tier city socially as well as physically: sky-high cities for the elite with everyone else stuck at ground level? Matthew Clifford, the head of energy and sustainability services at JLL Asia Pacific, believes connected tall buildings can have a positive impact — avoiding pollution and traffic at ground level, for example. At Raffles City Chongqing, most of the skybridge amenities will be open to the public. The project includes a public park surrounding the towers, while the metro and a bus station connect directly. Safdie argues that the publicly accessible skybridge goes against conceptions about exclusivity. “The tendency is to have a couple of floors for the people, near the ground, and then reserve the upper floors for luxury use,” he explains. “We can’t totally overcome that, because it’s so much part of the culture and the market to make the top luxury.